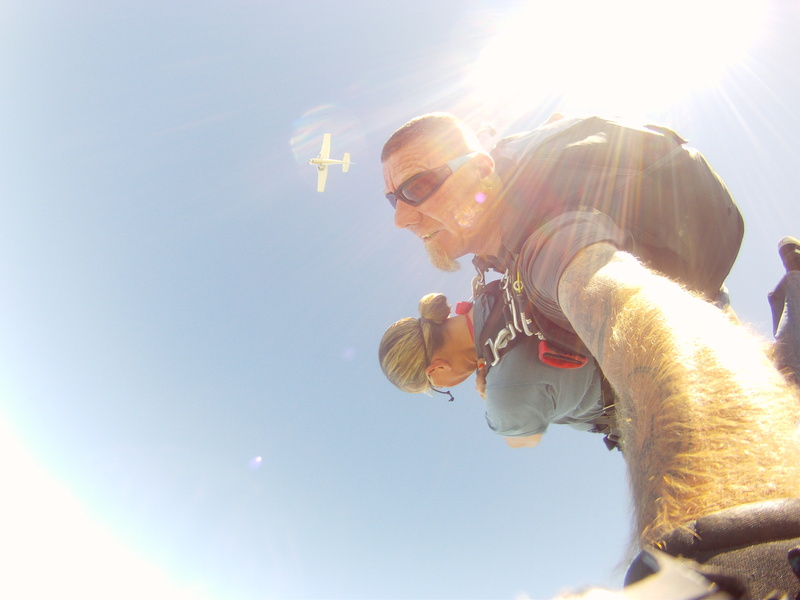 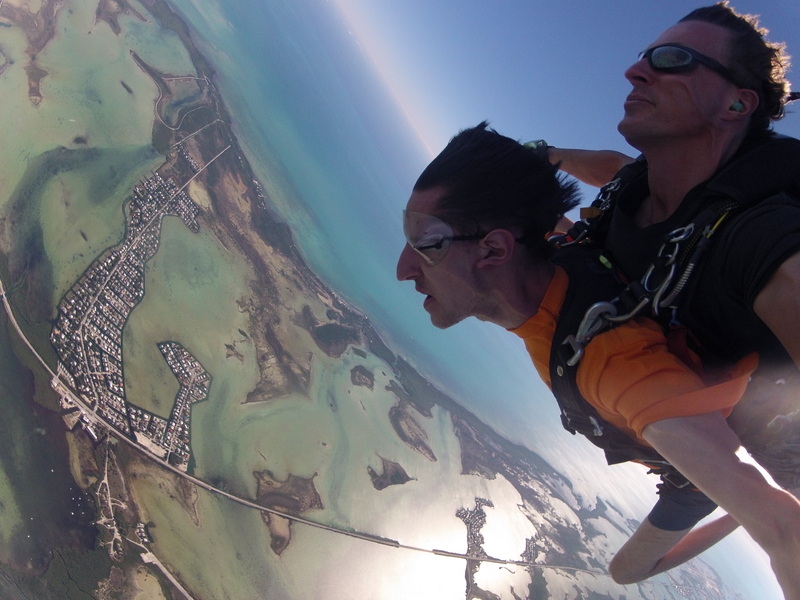 Thank you Sky Dive Key West guys for an amazing jump! 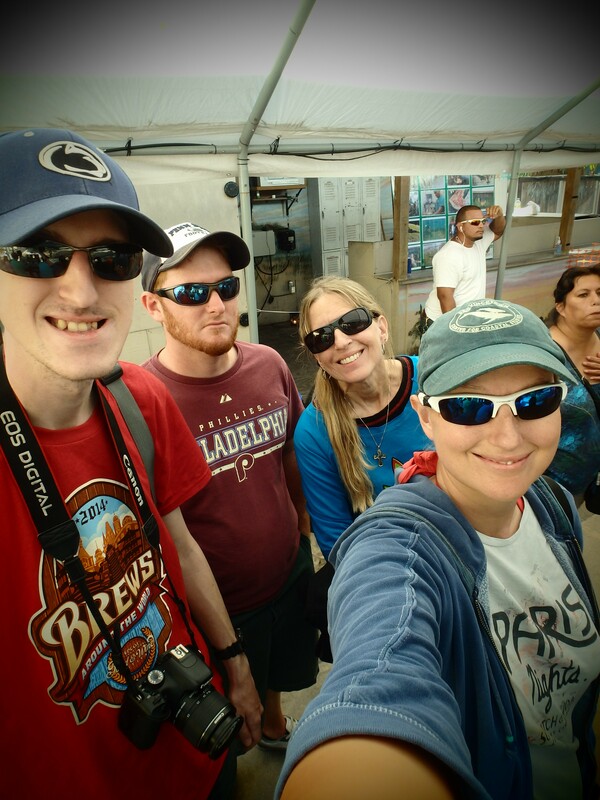 2) Visiting family in Cocoa Beach, FL – Josh and Maggie aka mom enjoyed hanging out with Uncle Matt, Aunt Dorothy, Jim, Steve, and the Castillo bunch – Betsy, Benjamin, & Camille. 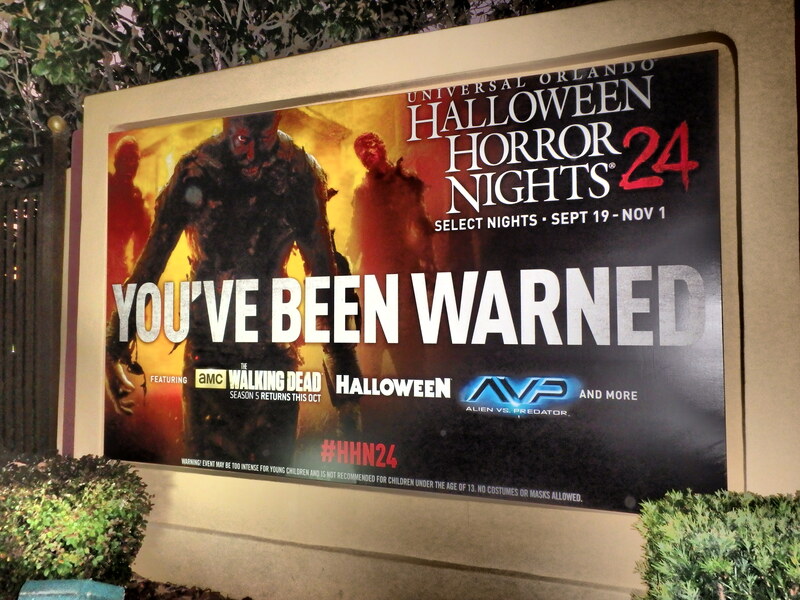 Hopefully next time we will be able to see Alfonso, Maggie, Claire, and Cody! 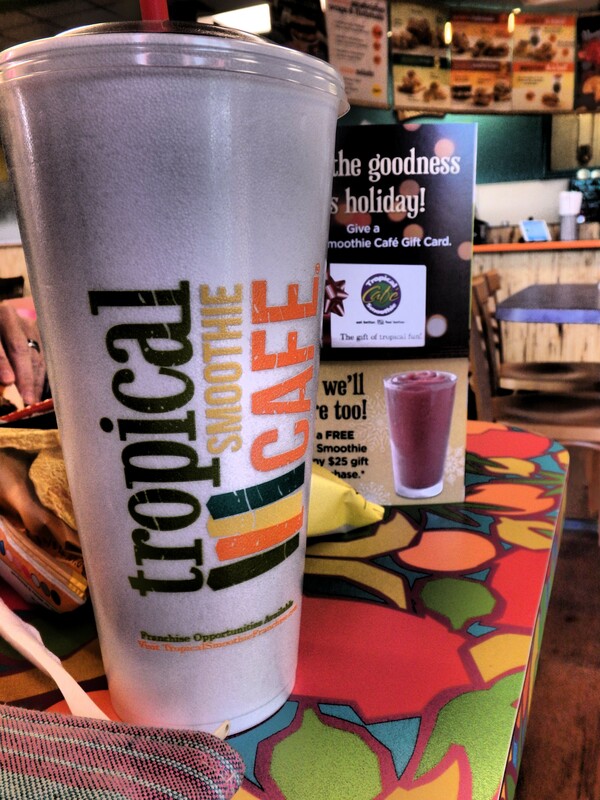 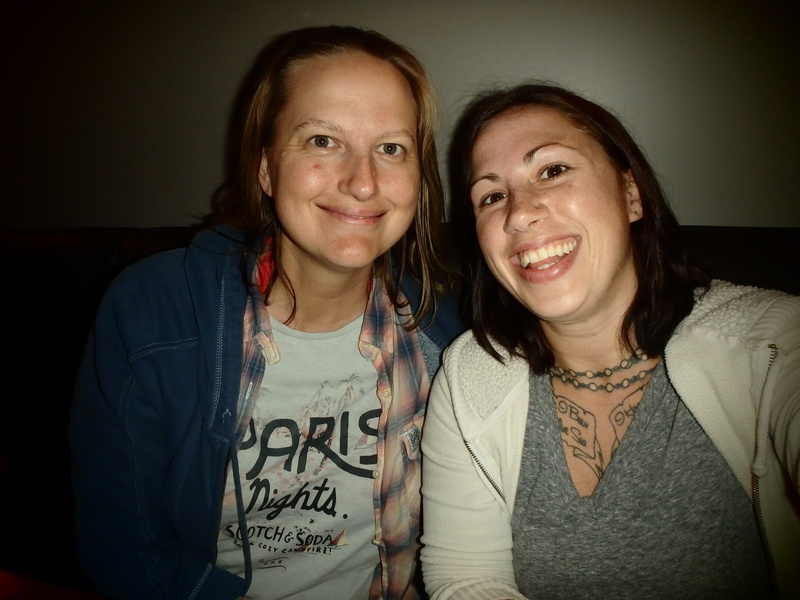 We missed you guys! 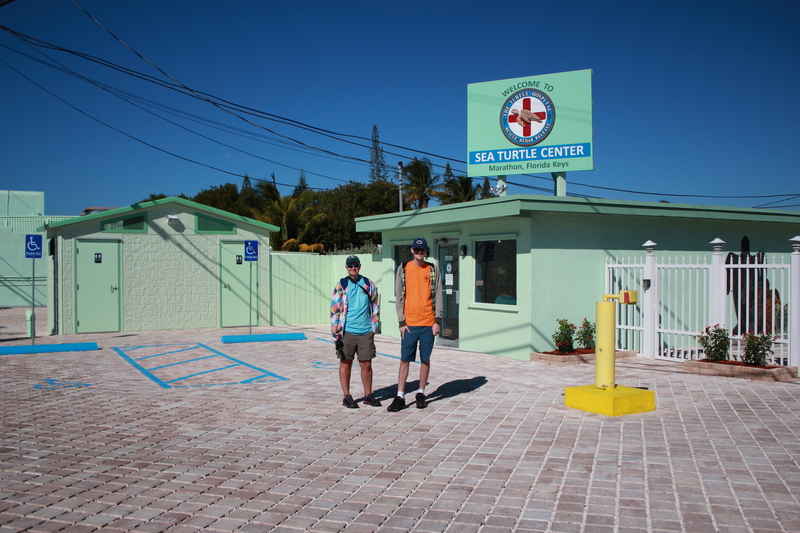 3) Work related – Receiving my Norwegian medical, my 2nd primary passport, and my 3rd secondary passport – all of these were required to continue traveling outside the United States! 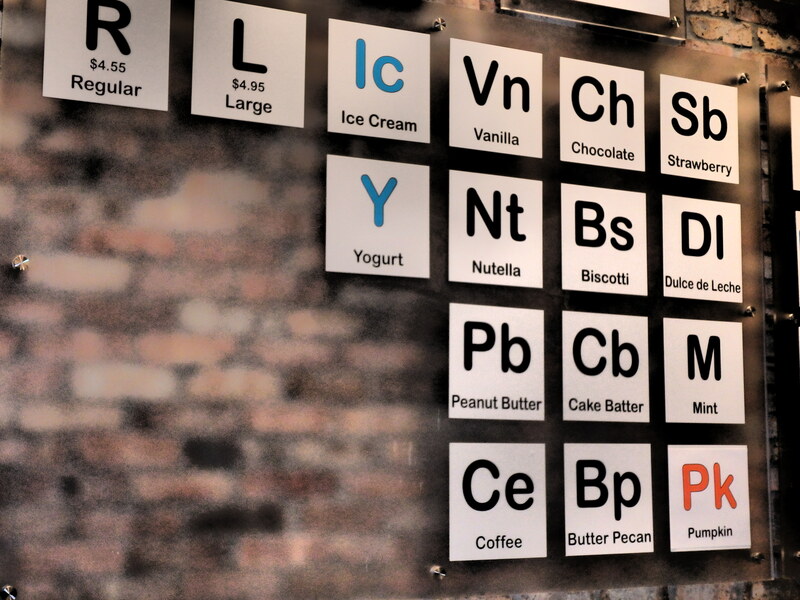 Absolutely vital! 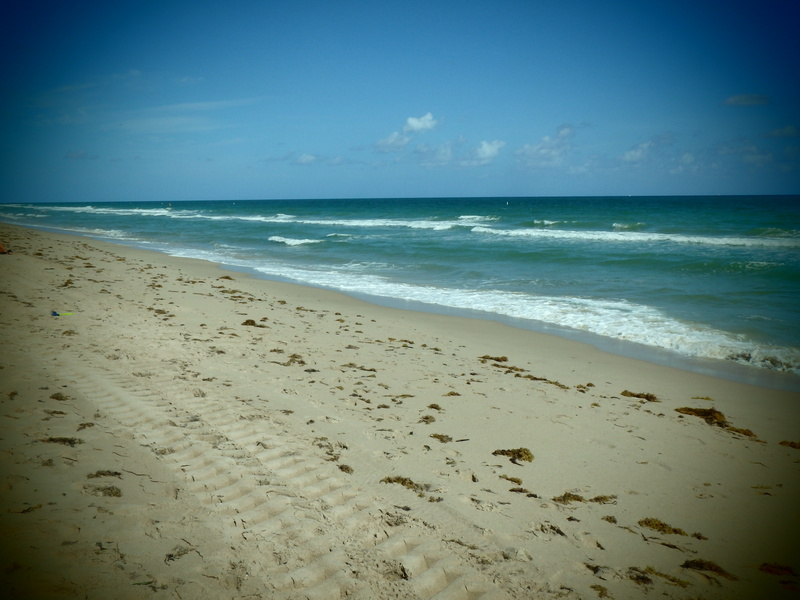 4) Chilling @ Fort Lauderdale Beach for the morning – beautiful sunny “typical” Florida day and excellent photographs on the sand. 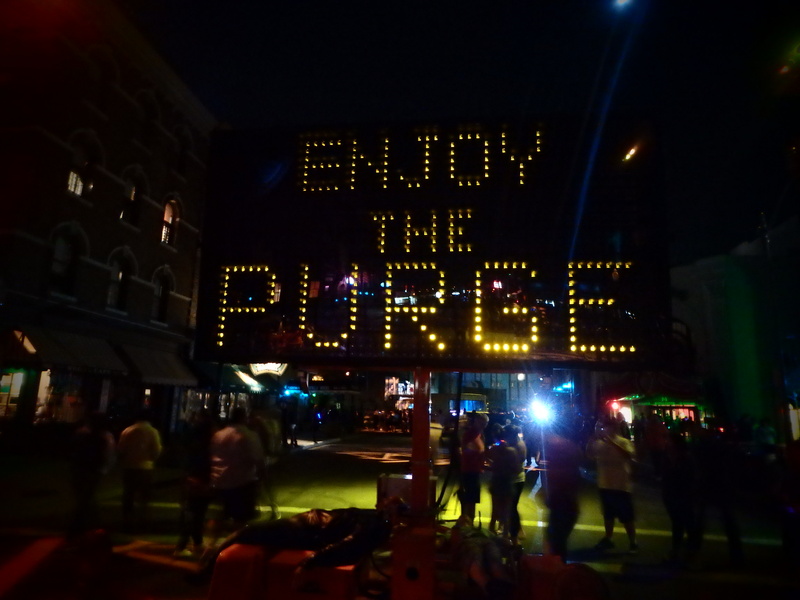 5) Hanging out downtown Fort Lauderdale watching the Cleveland Browns vs. the Cincinnati Bengals American Football game @ Taps – It was sweet visiting with Martin, Becca Ann, and Megan; and a surprise visit with Brian added a good vibe for the night. 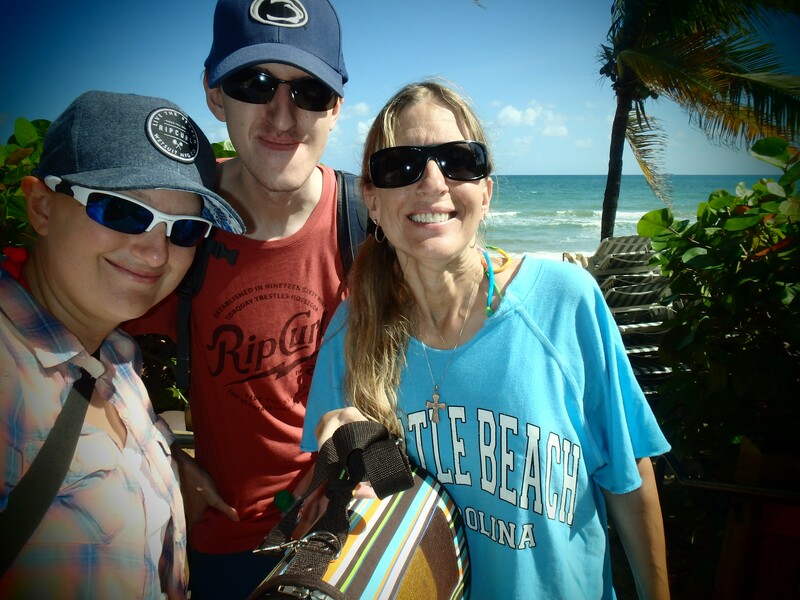 Also, we had a great time with Colleen this week! 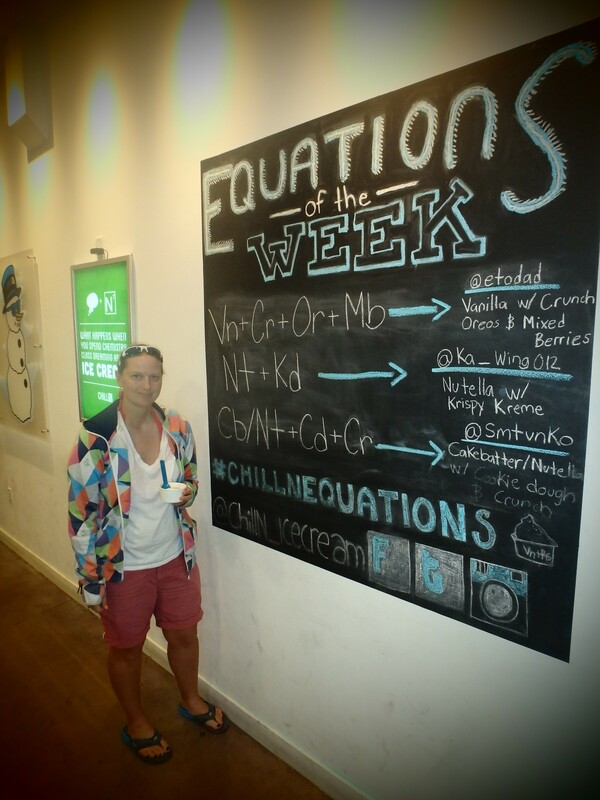 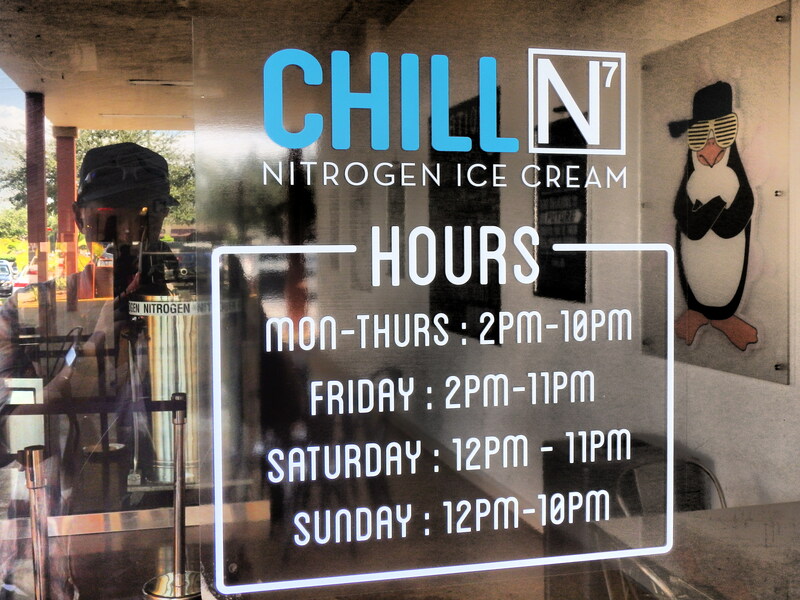 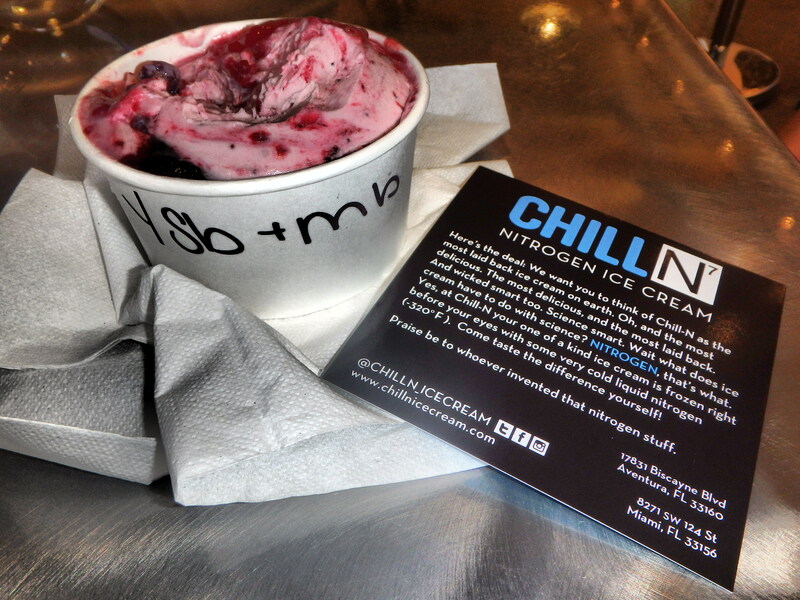 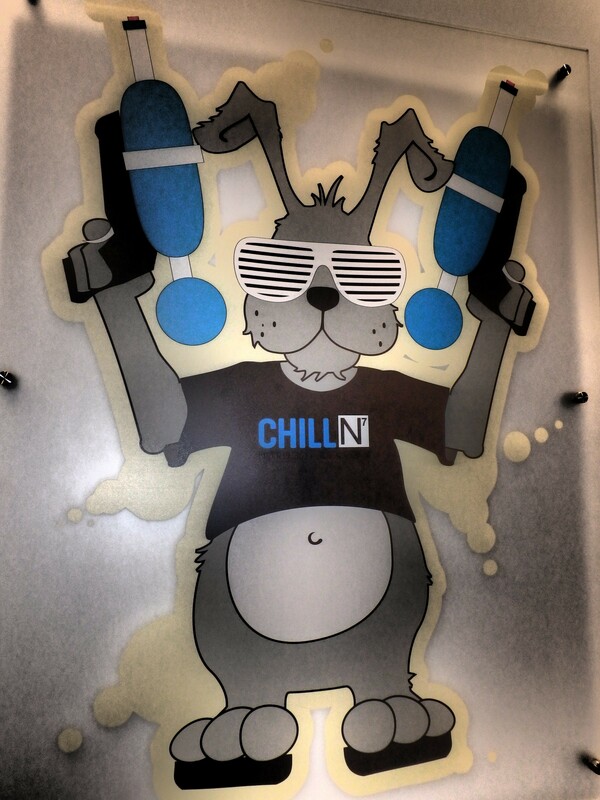 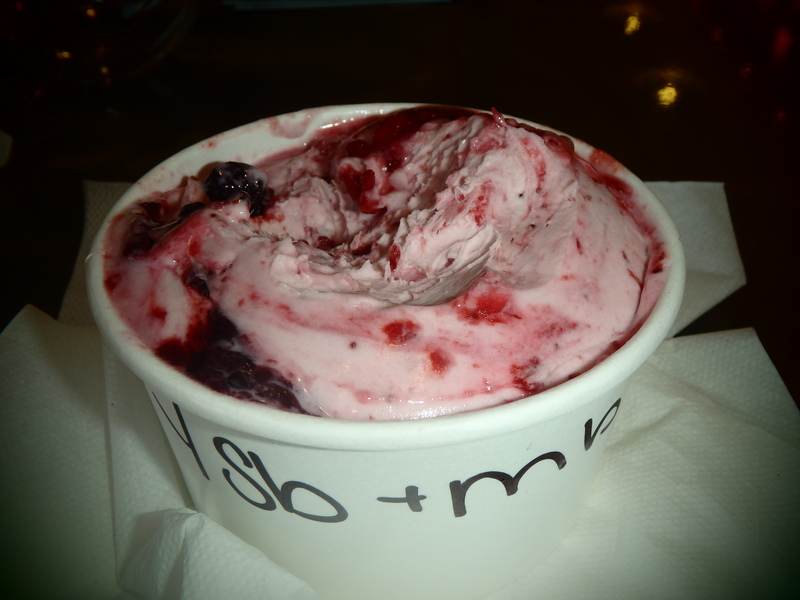 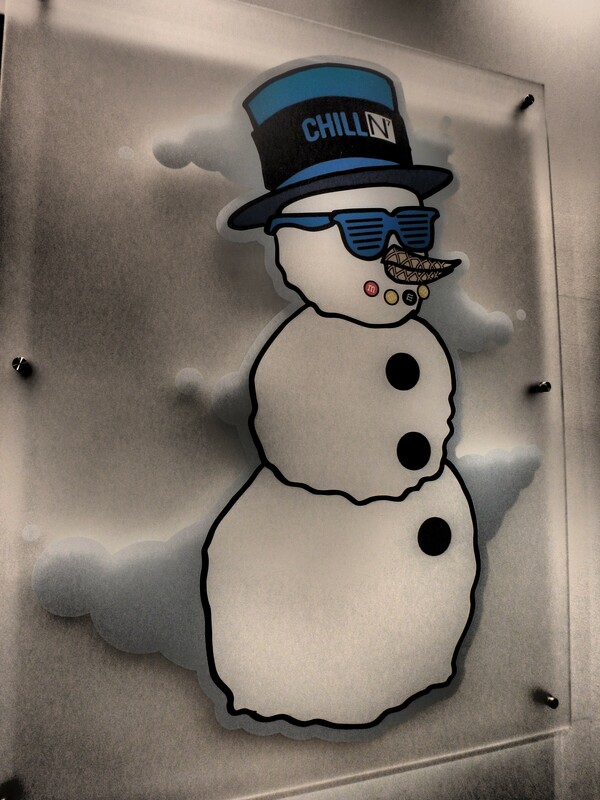 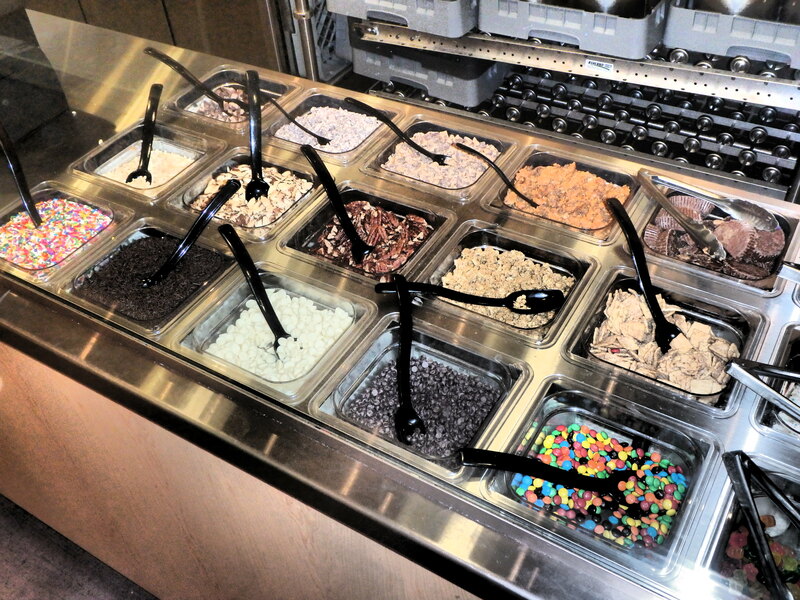 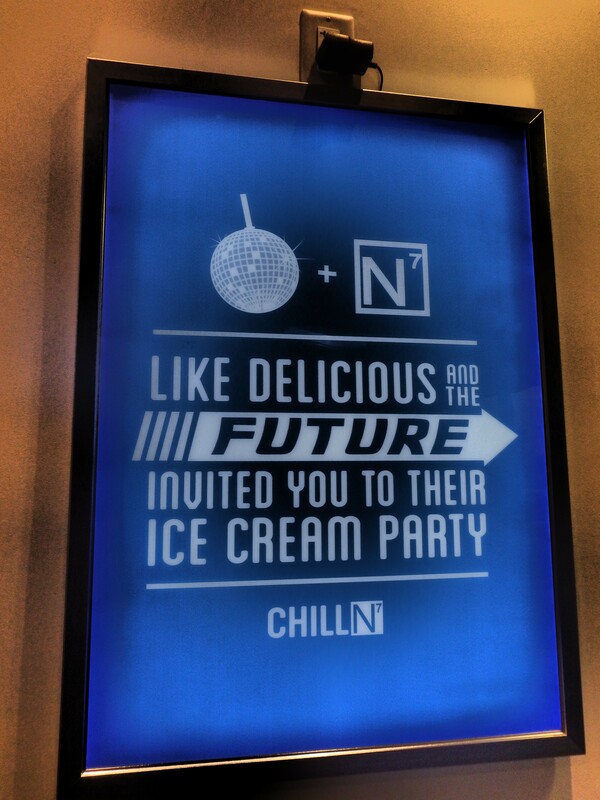 6) Satisfying the sweet tooth @ Chill-N Nitrogen Ice Cream – Vn + Cf + Mw. 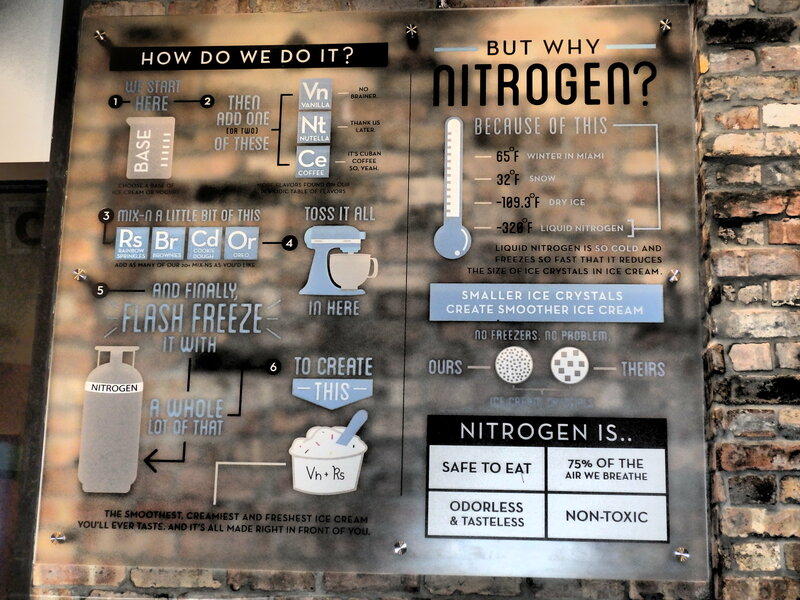 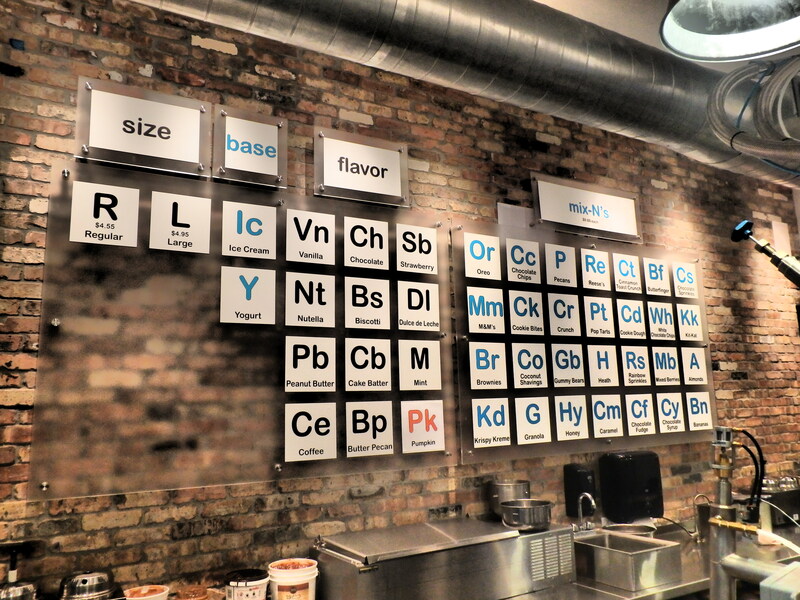 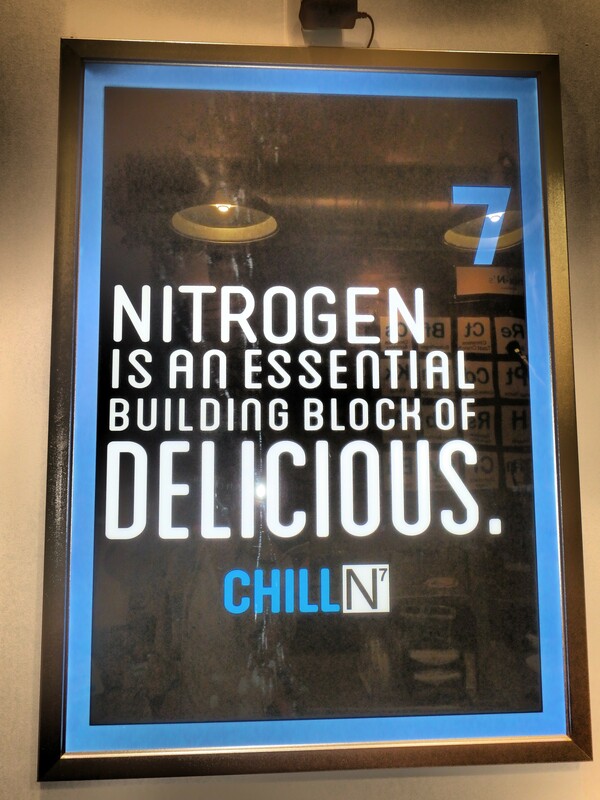 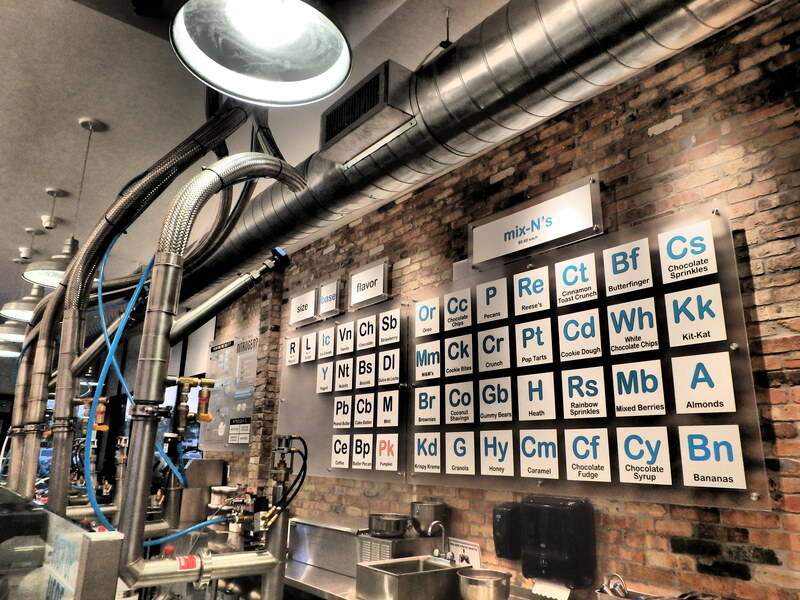 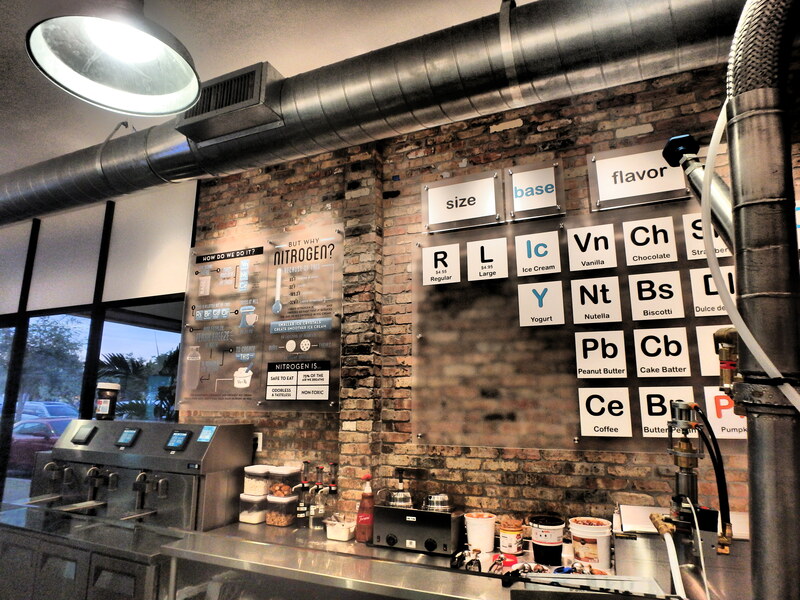 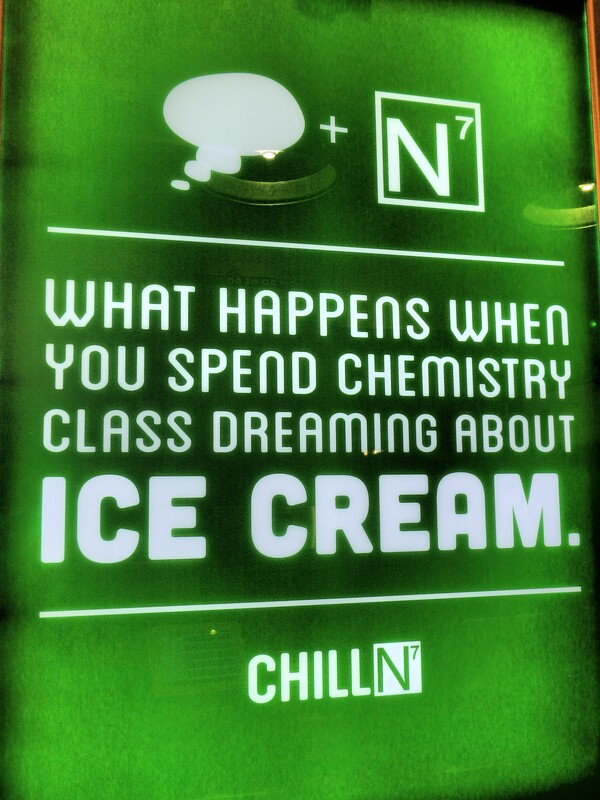 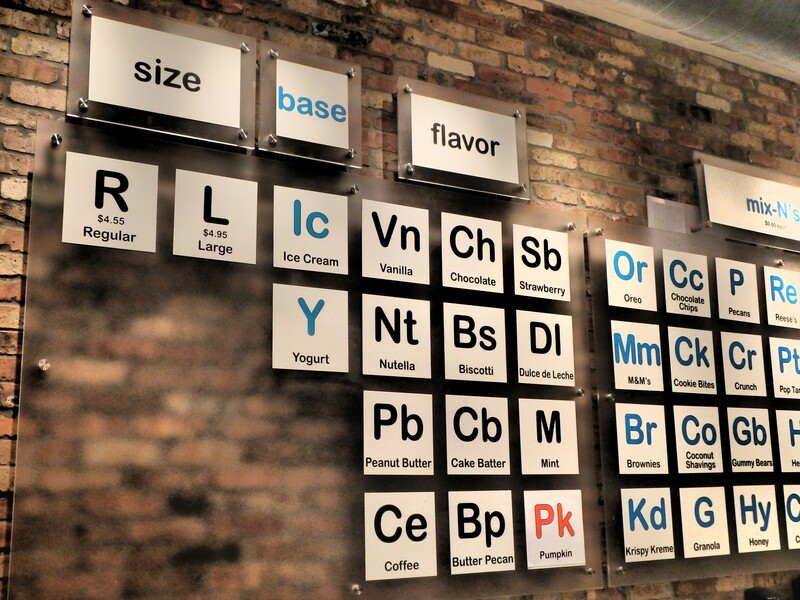 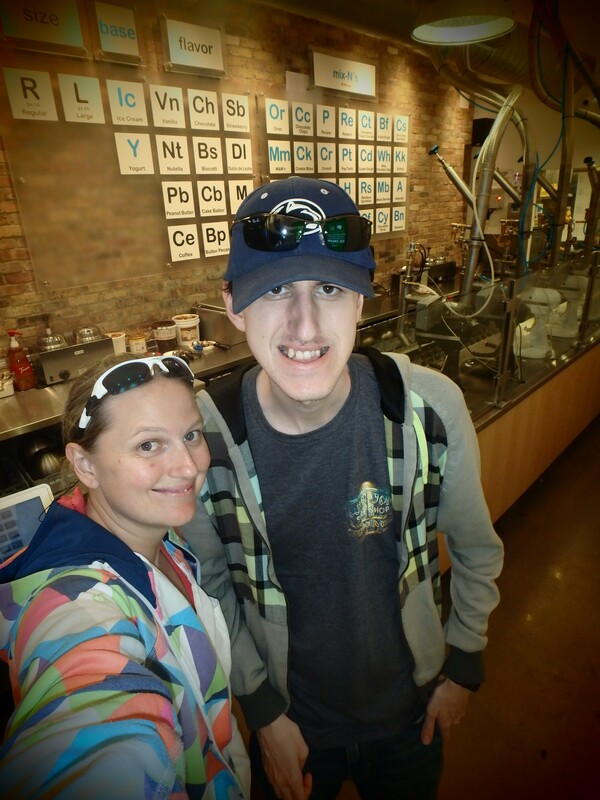 A chemical equation likely to baffle scientists, unless they’re familiar with Chill-N Nitrogen Ice Cream’s periodic table of flavors. 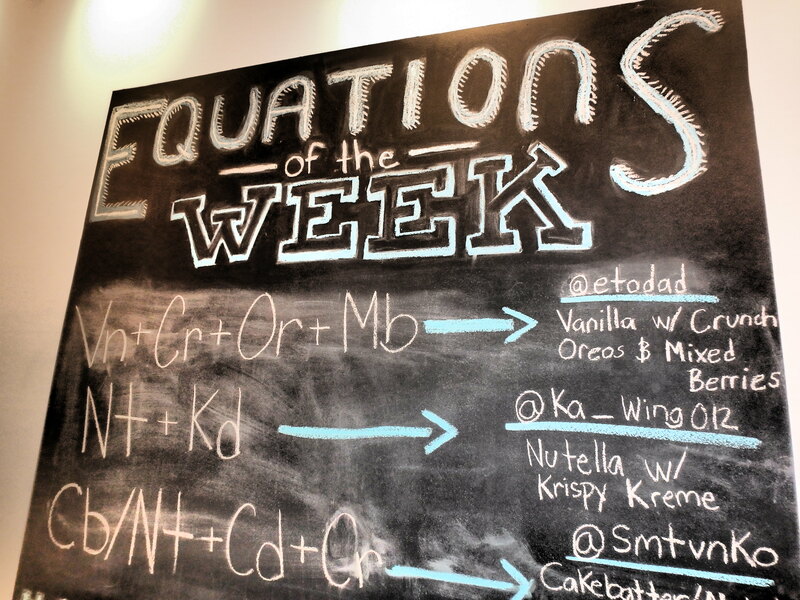 Then they’d know that the “equation” translates to vanilla ice cream, chocolate fudge, and marshmallows—resulting in a sort-of s’more sundae that should be kept far away from campfires. 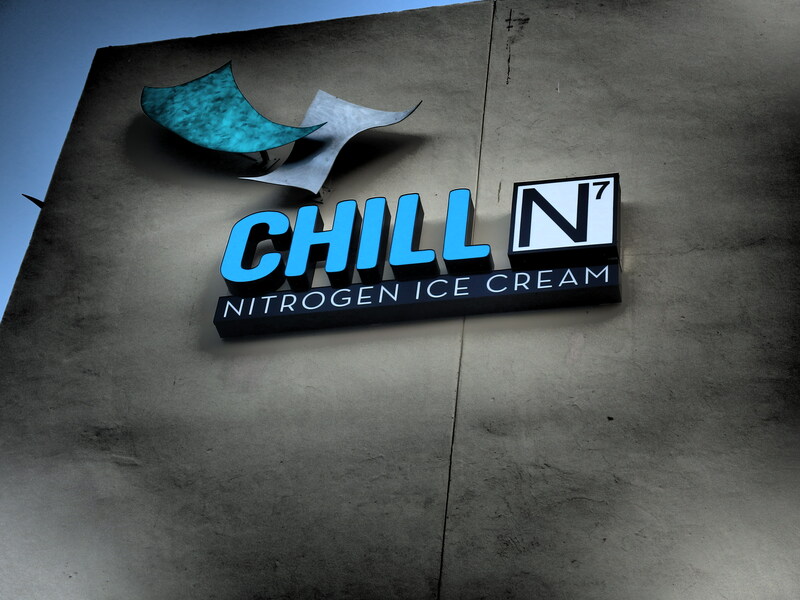 Chill-N’s science-class vibe is inspired by the ice cream itself, which the shop creates by flash-freezing ice-cream or yogurt with pure nitrogen. 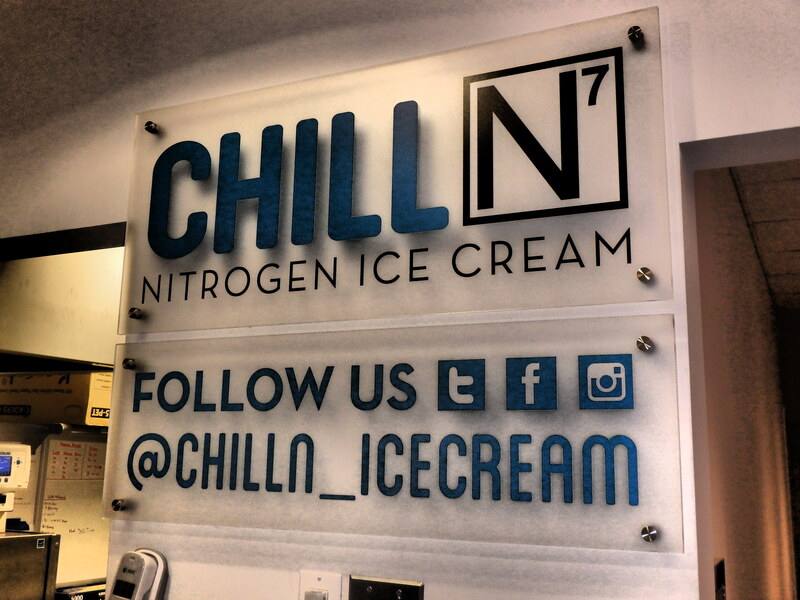 Customers start by picking either ice cream or yogurt as the base, then flavor it with natural ingredients like pure vanilla or some of the 60 pounds of Nutella that Chill-N goes through each week. 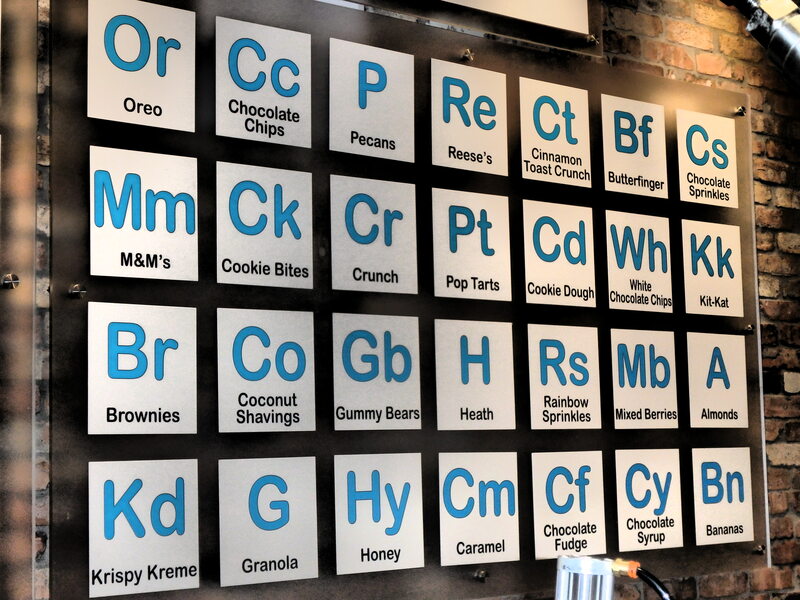 They also get to blend in any of the nearly 20 mix-n’s on the periodic table, including little-known elements such as gummy bears (Gb) and Pop Tarts (Pt). 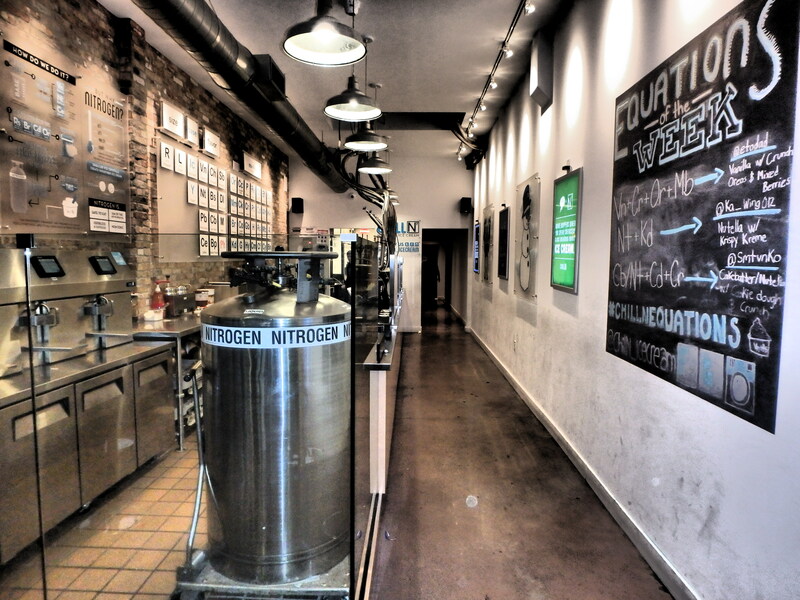 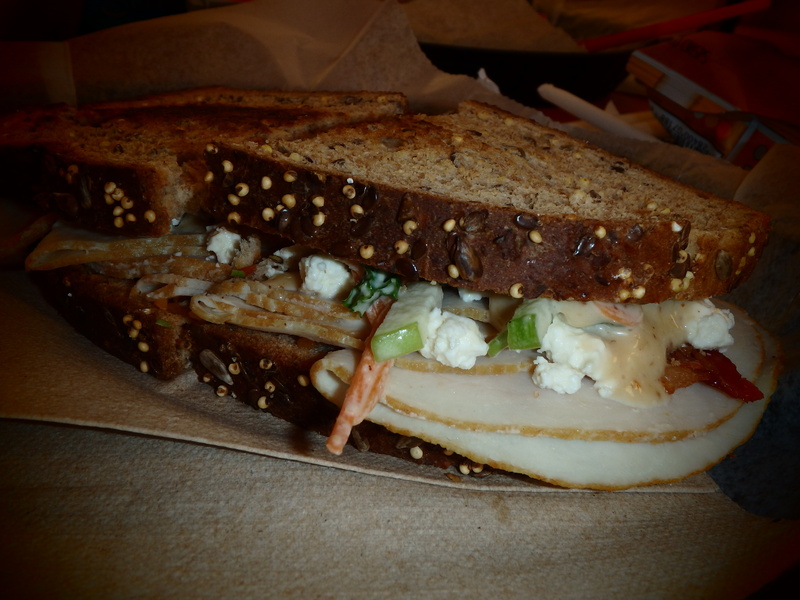 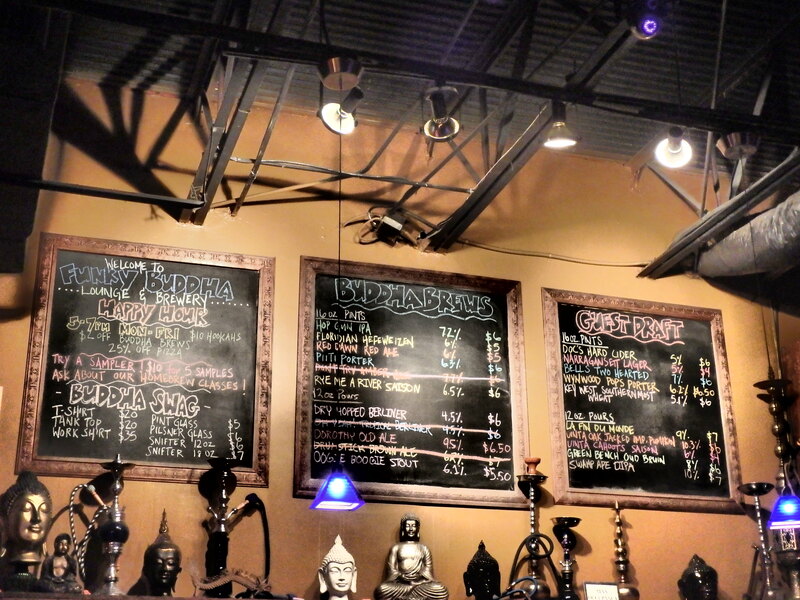 The shop mixes it all together, then adds a hefty blast of liquid nitrogen. 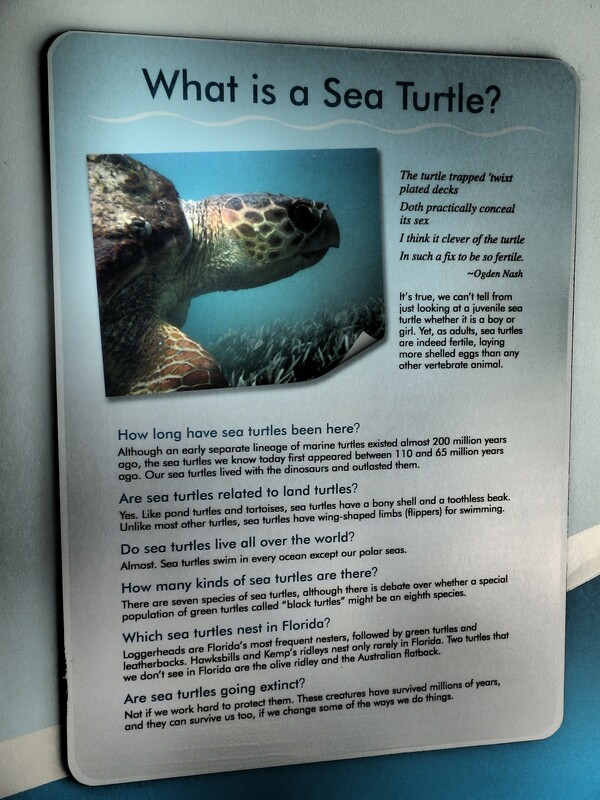 A very fun, and educational activity for everyone! 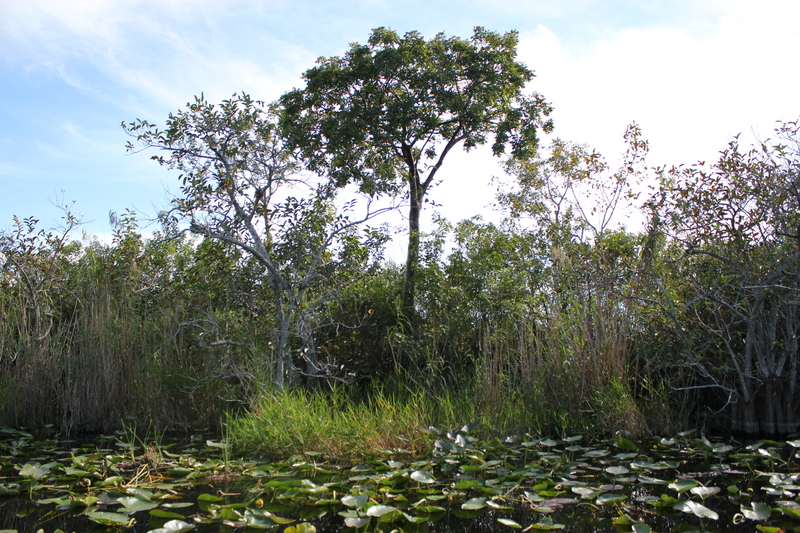 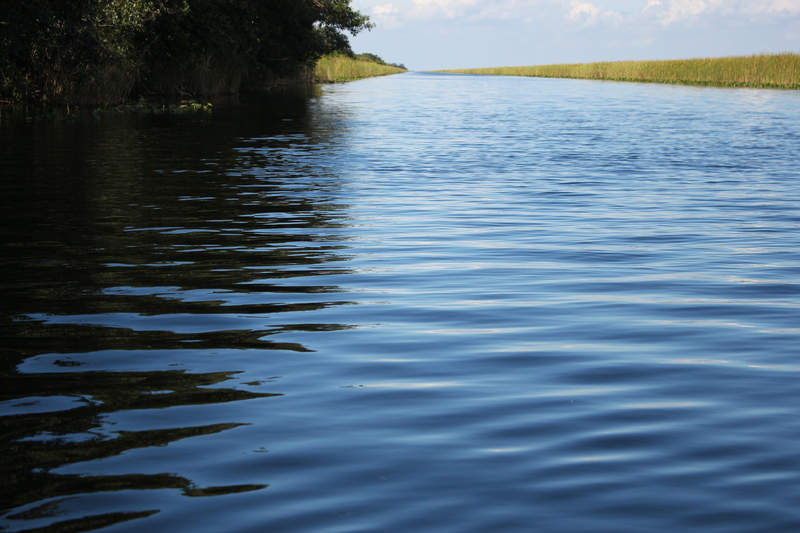 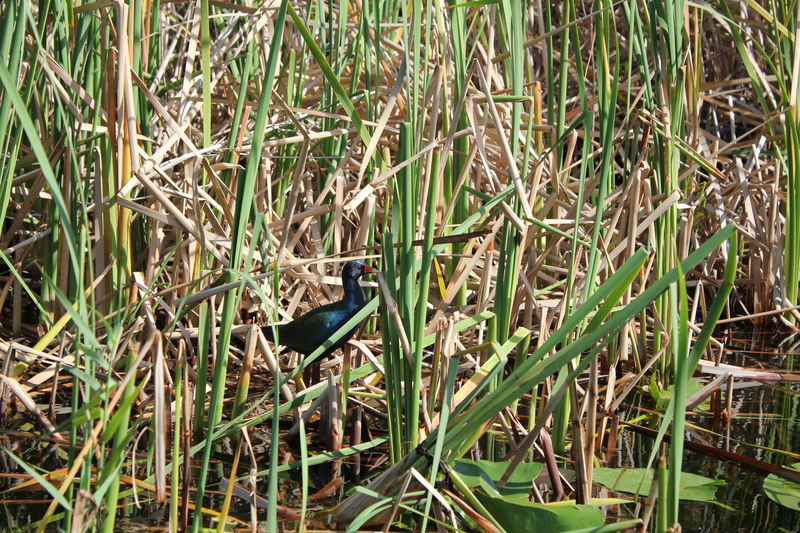 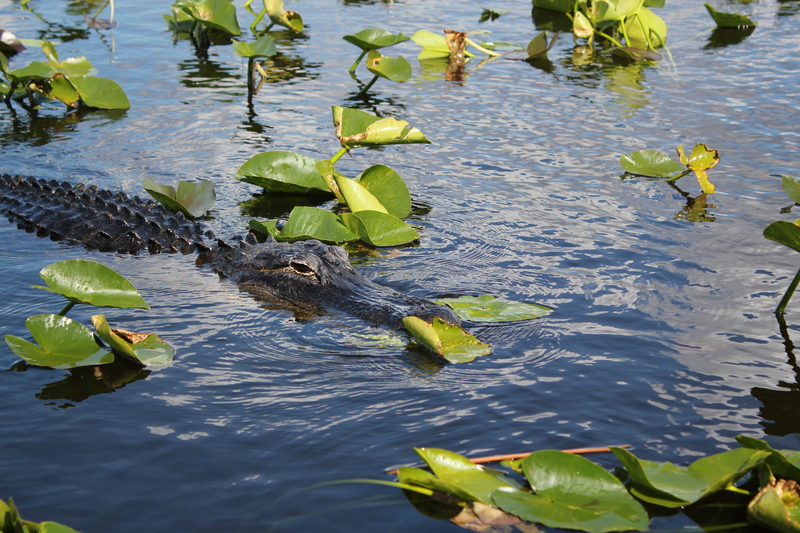 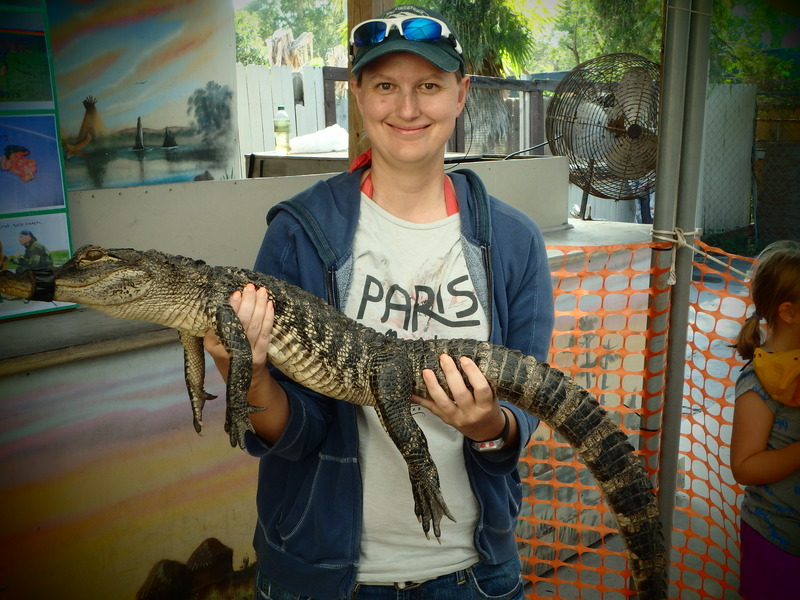 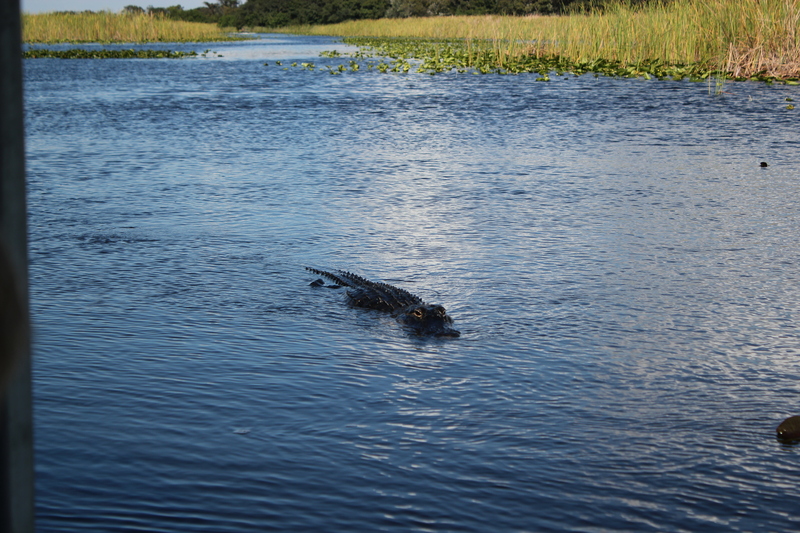 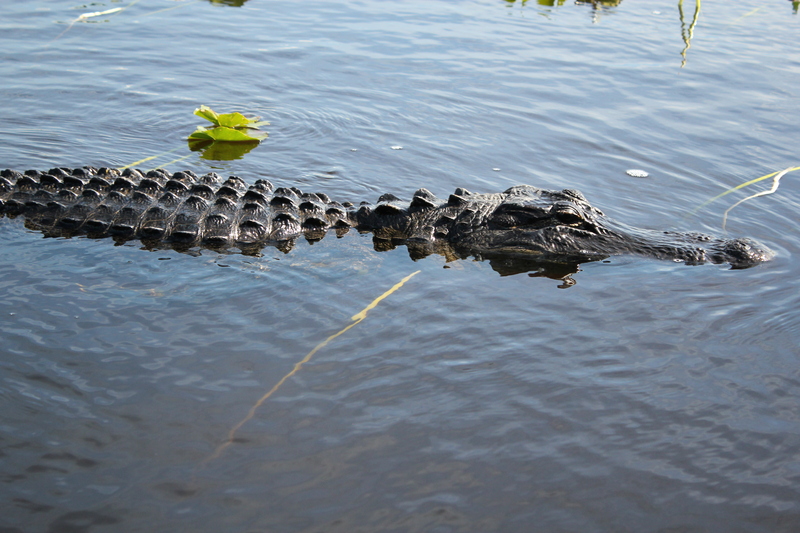 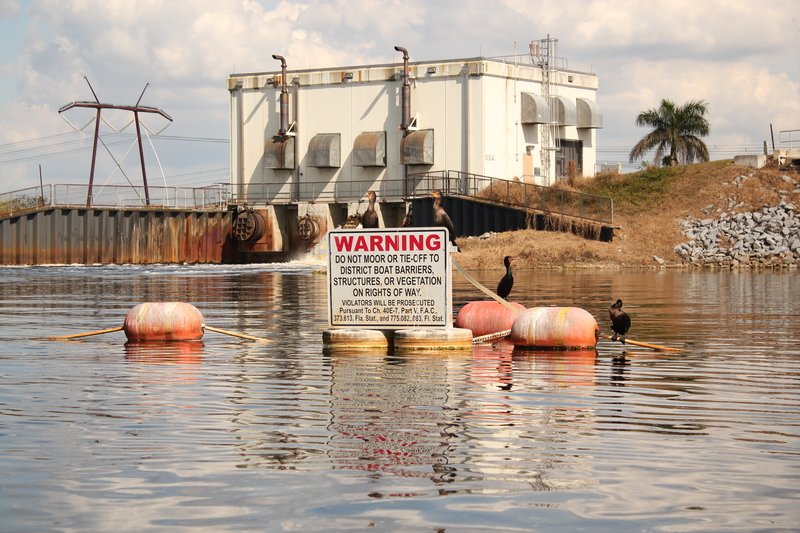 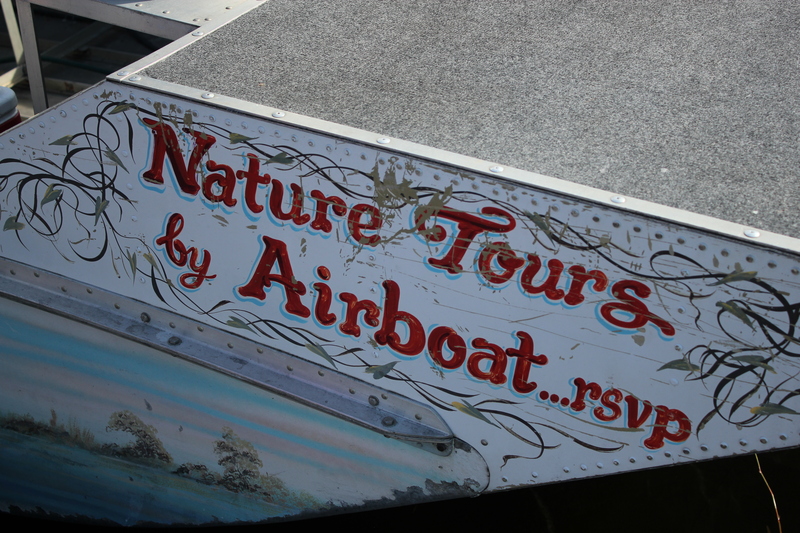 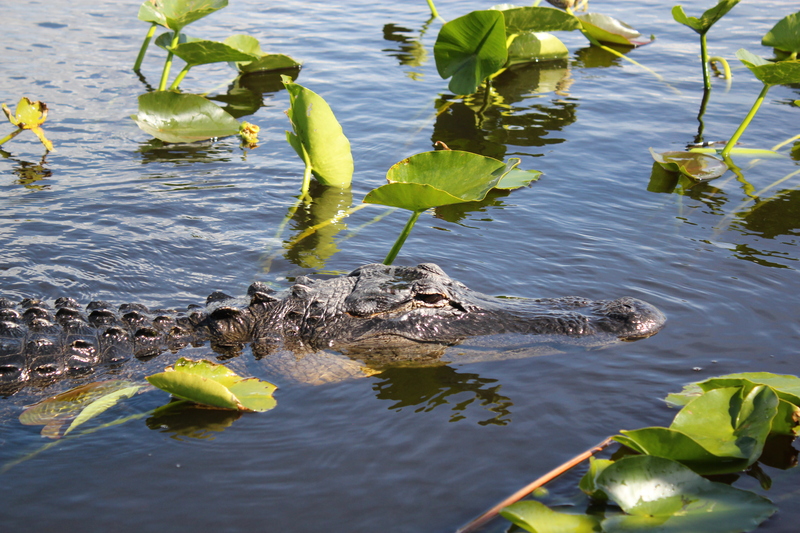 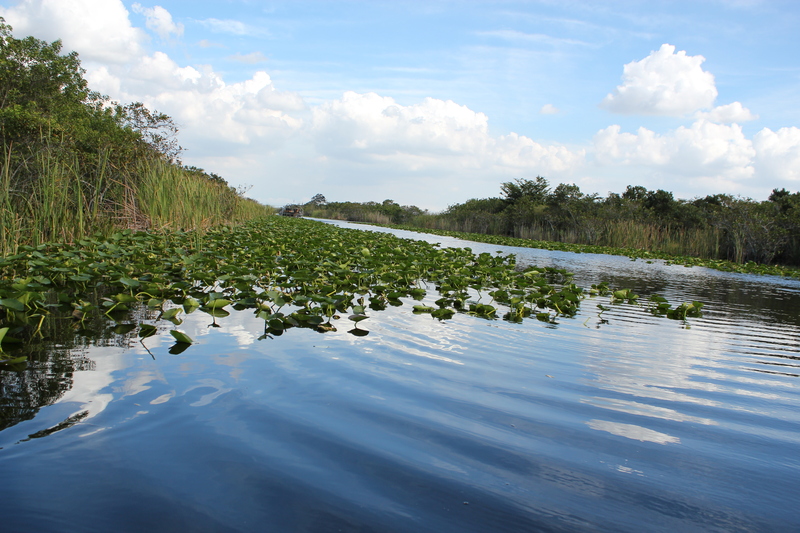 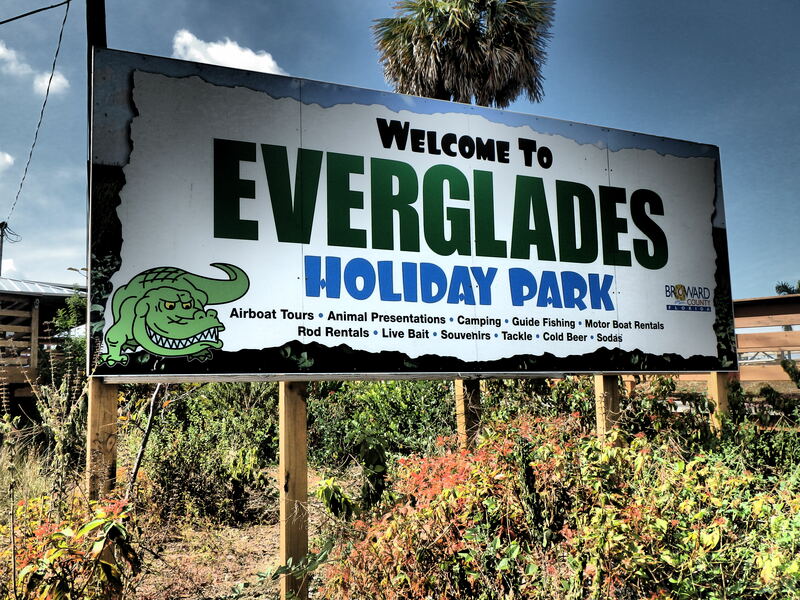 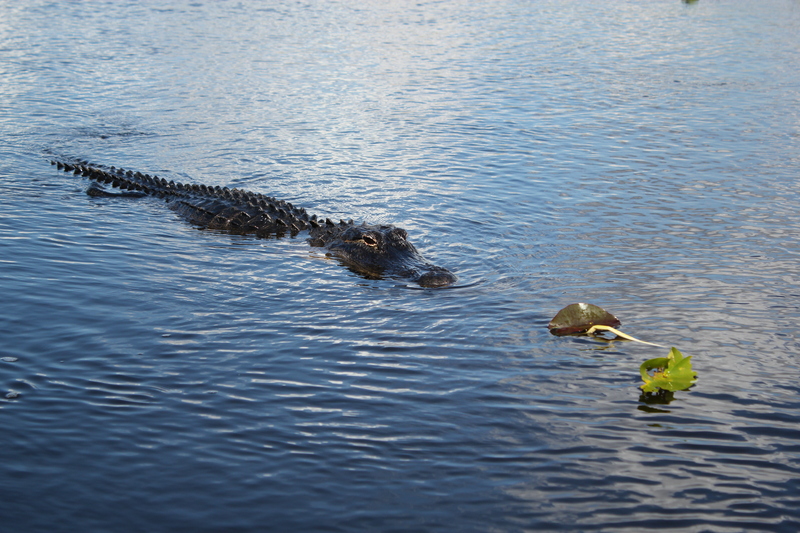 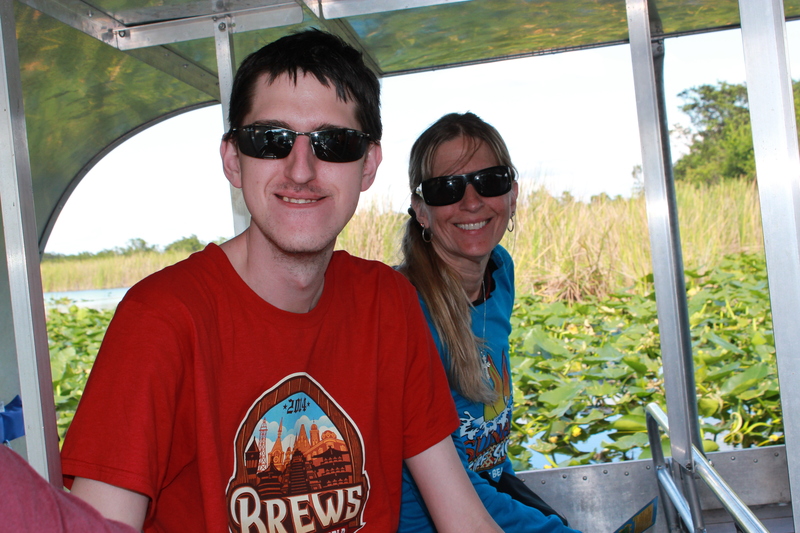 6) Cruising on an airboat ride @ the Everglades National Park, another educational activity for the trip – saw 3 American alligators, loads of birds, fish, native plants, etc. 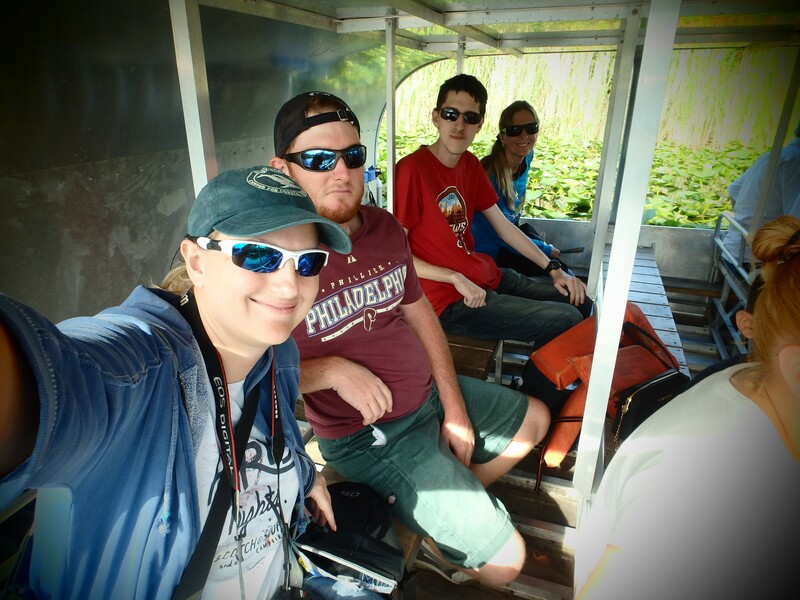 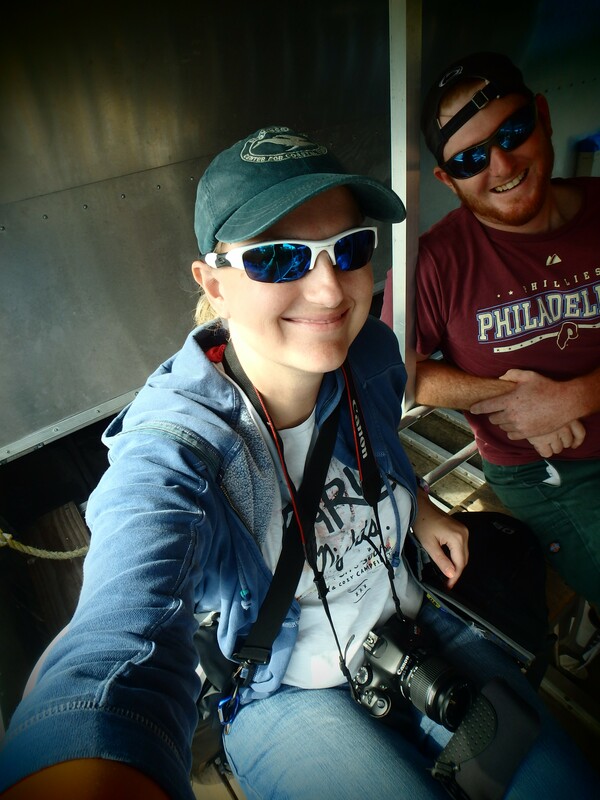 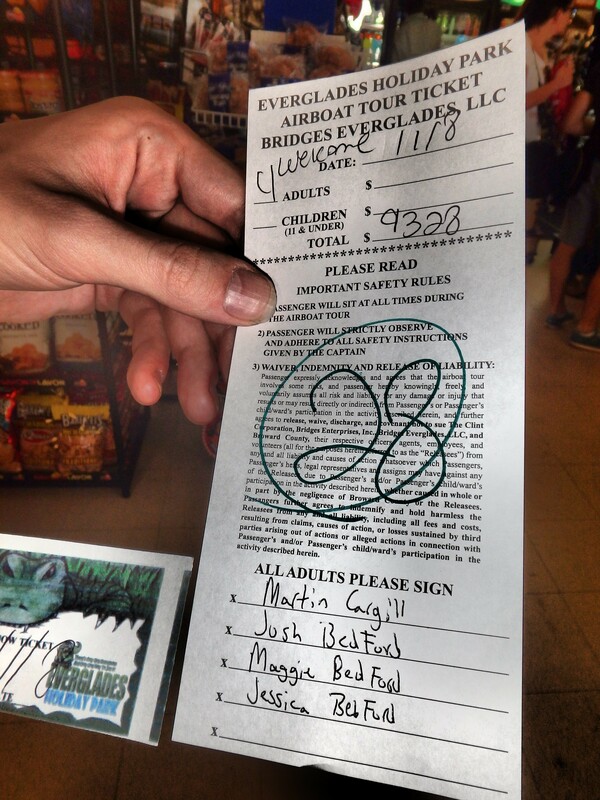 Used gopro to capture the alligators and airboat ride! 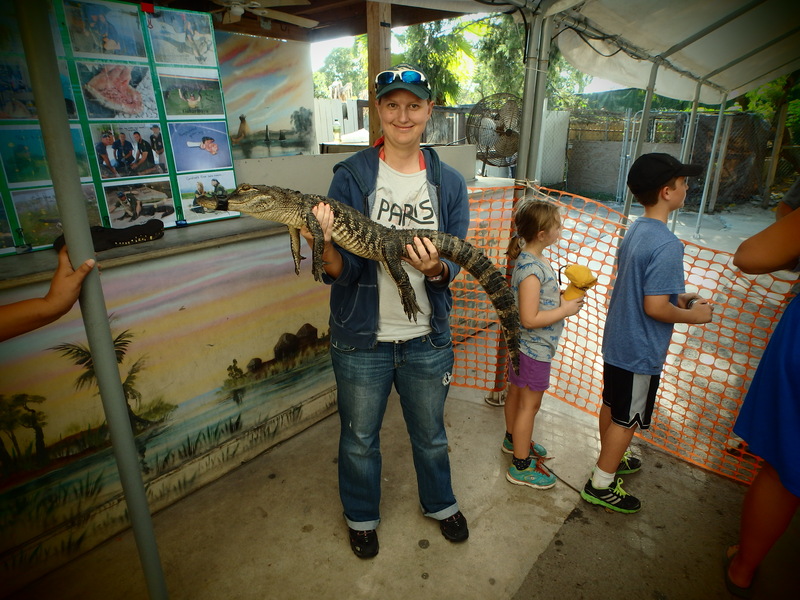 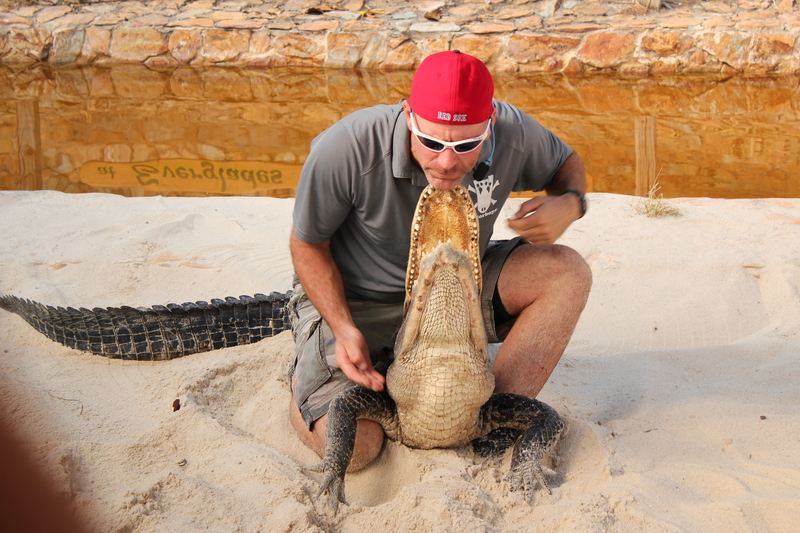 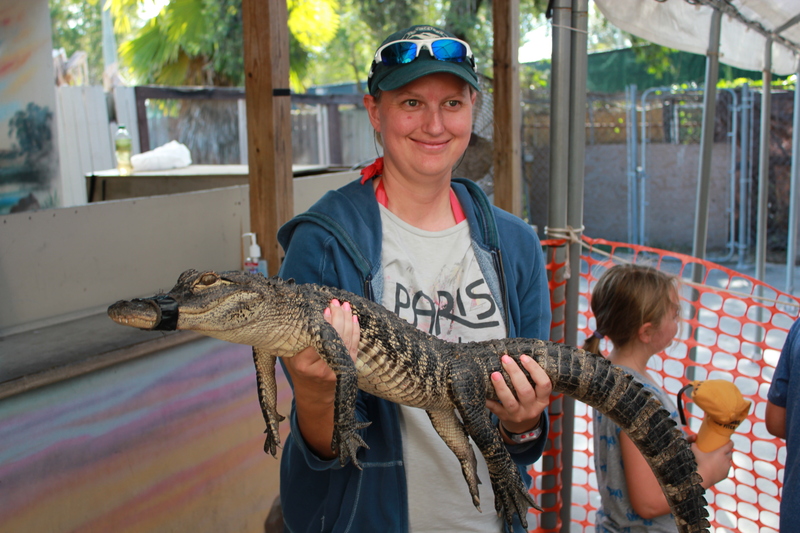 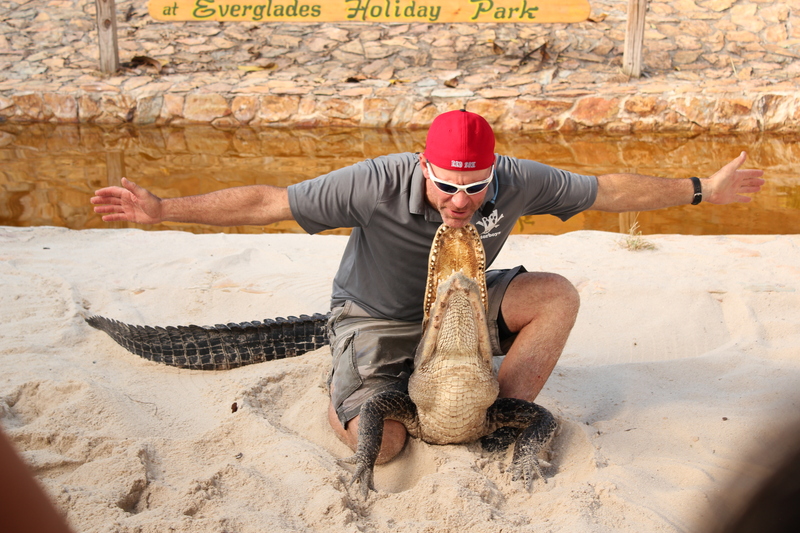 *The best part of the experience was a photograph with Paul, one of the members of Gatorboys, holding a real live baby alligator, and Paul’s demonstration on how to handle an alligator if the unexpected creature shows up in your backyard! 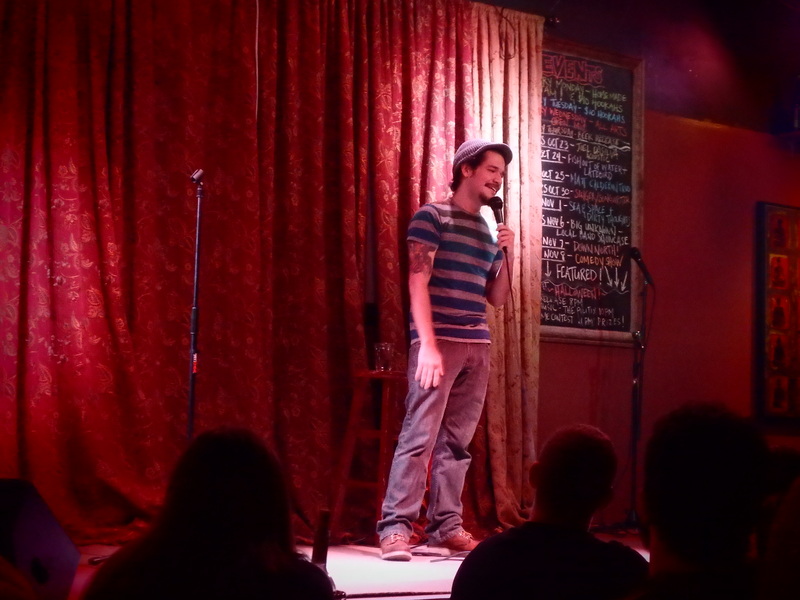 7) Laughing out loud @ Funky Buddha of Boca Raton, FL – a showcase of Boca Raton’s best comedians in the area comprised of 5 guys and 2 girls. 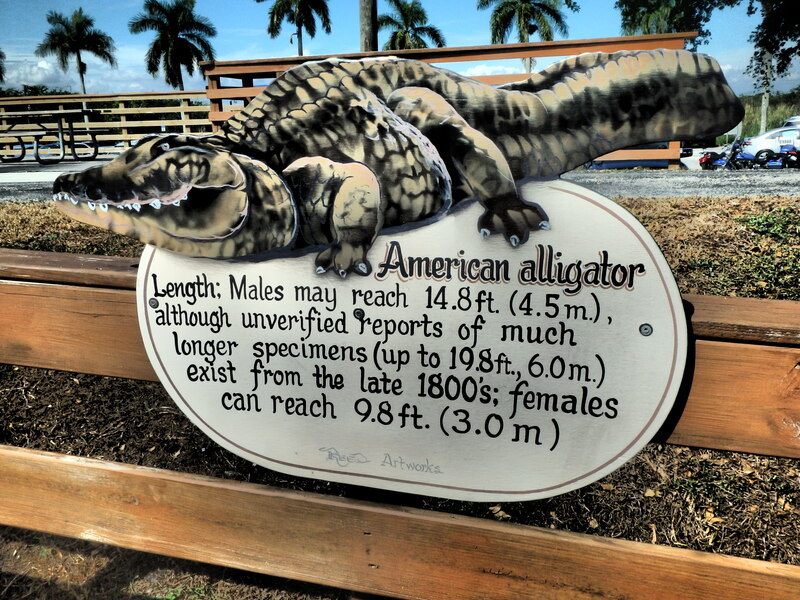 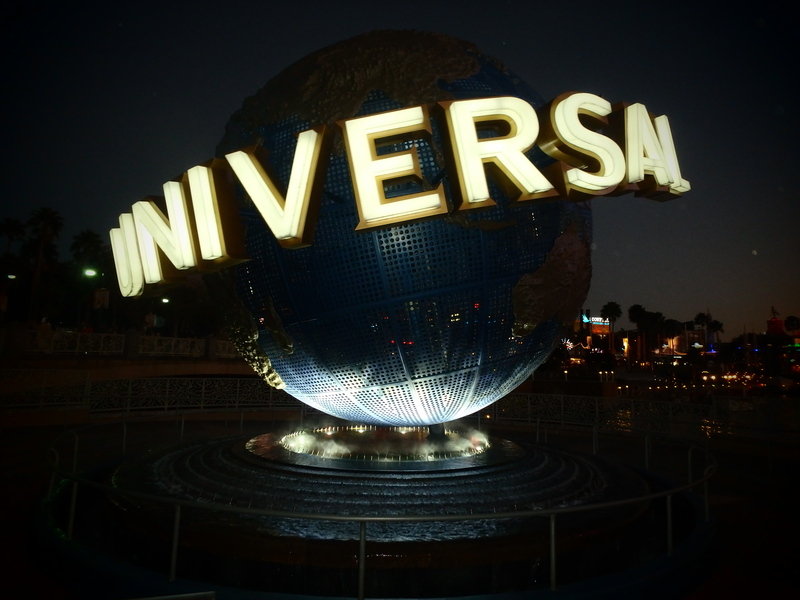 The furthest act came from Key Largo, FL! 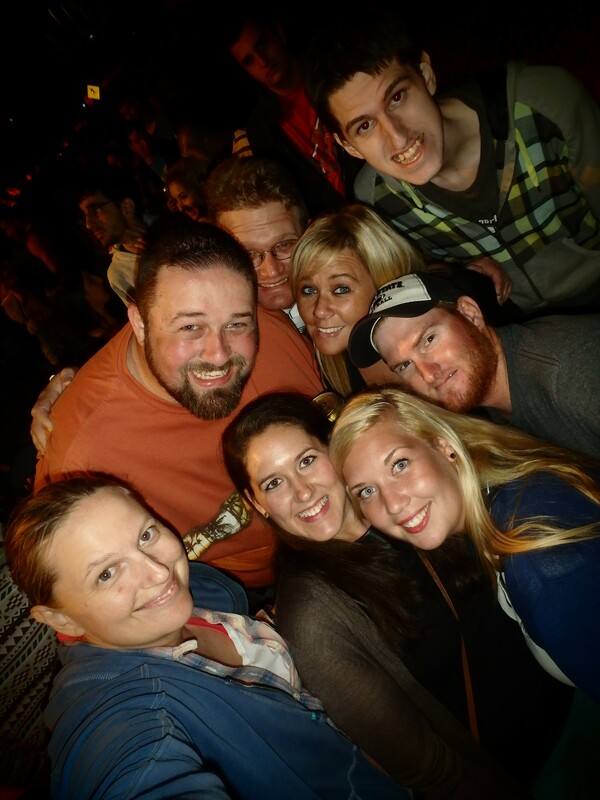 It was a good fun night with Marty Party aka Martin! 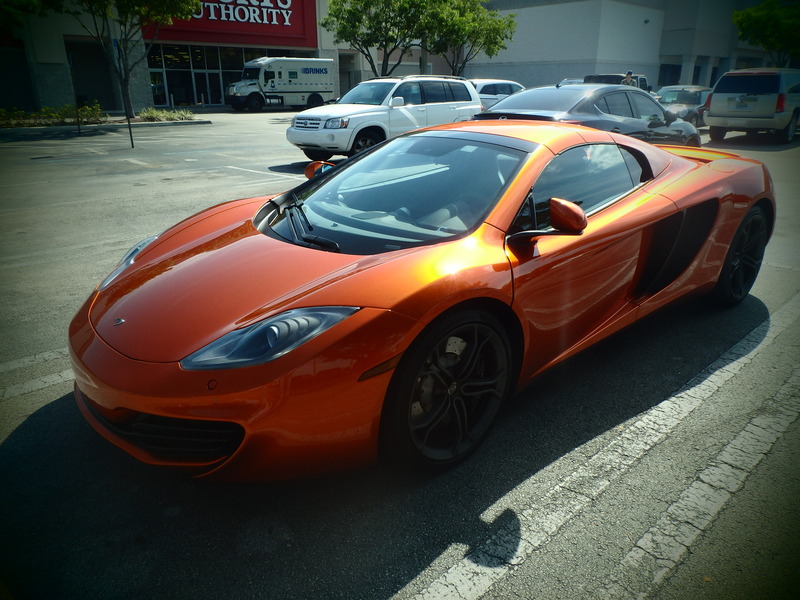 8) Taking photographs of a McLaren, and surprisingly have the owner offer to take a picture of you sitting in the driver seat! 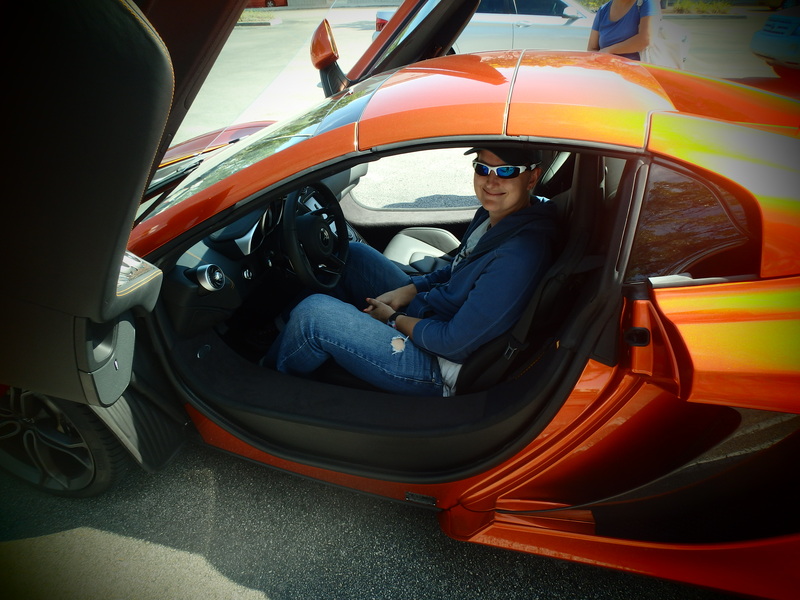 Sweet ride, though I was a bit too tall for it! 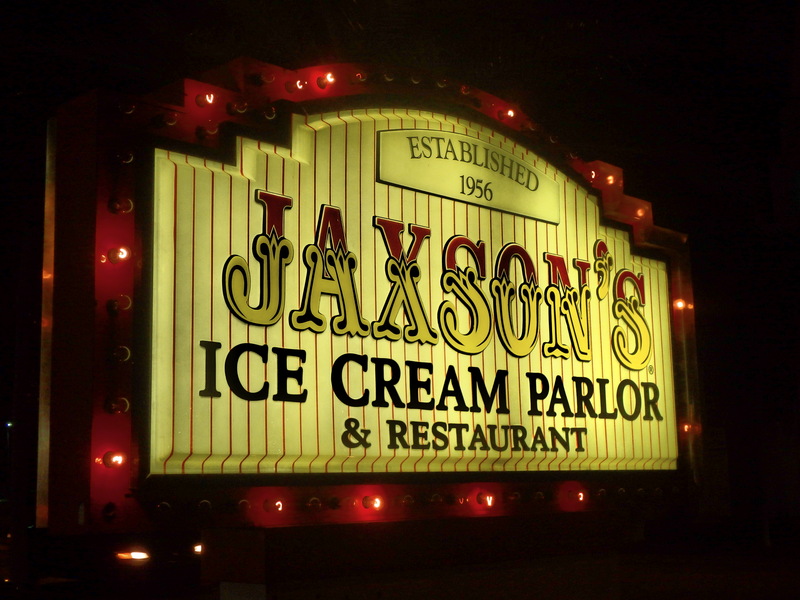 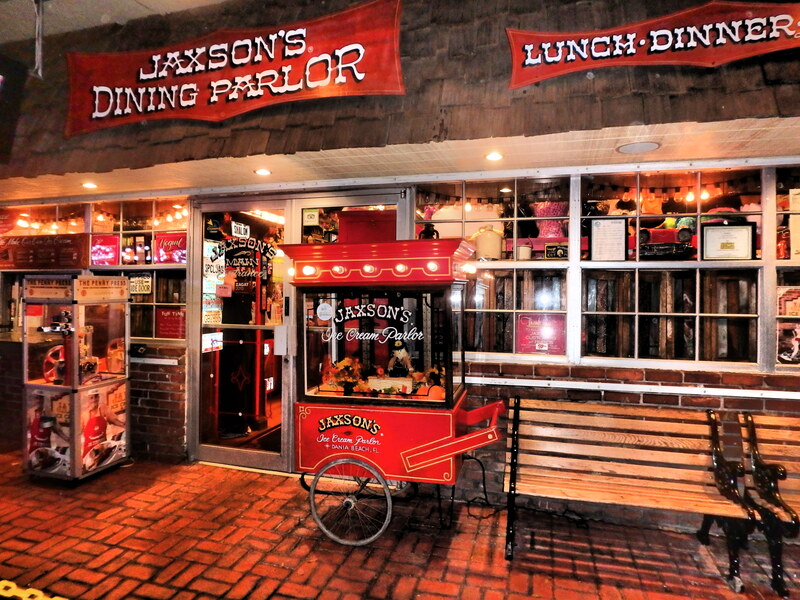 9) Eating at one of my favorite ice cream parlors @ Jaxson’s Ice Cream Parlor & Restaurant – with over 40 different flavors to choose from, it was hard to decide on just 1 flavor! 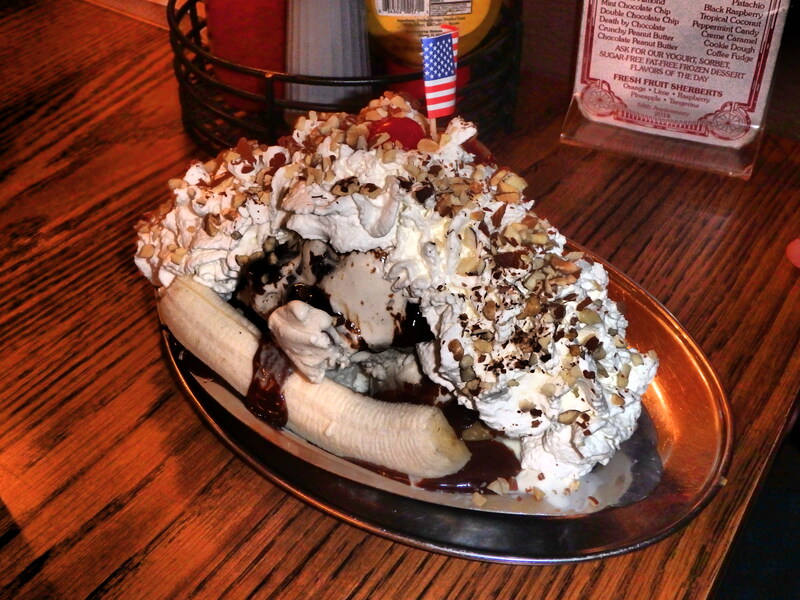 Their speciality is the kitchen sink! 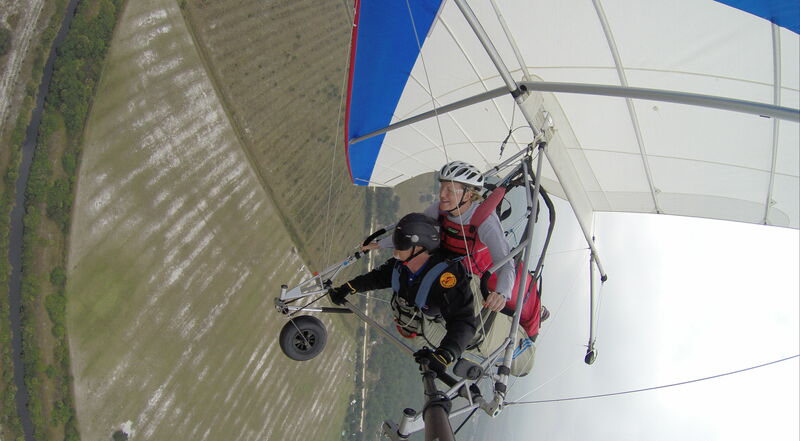 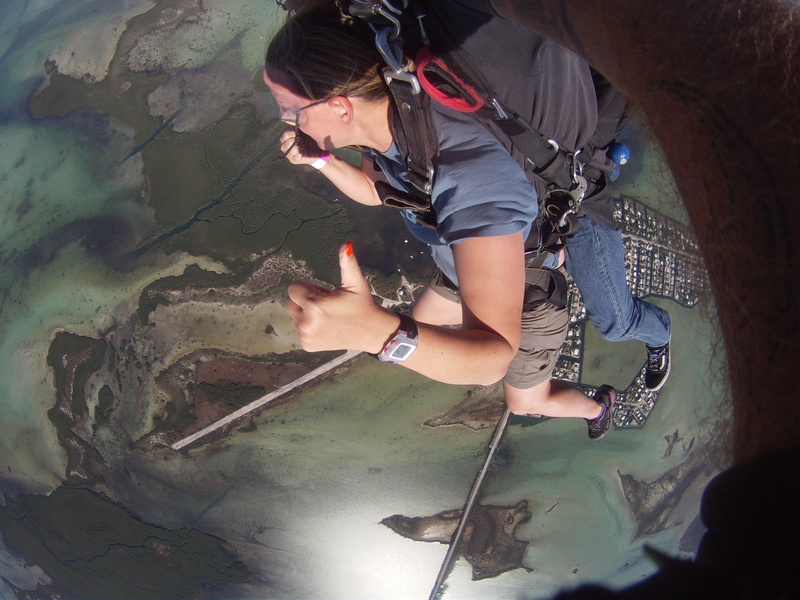 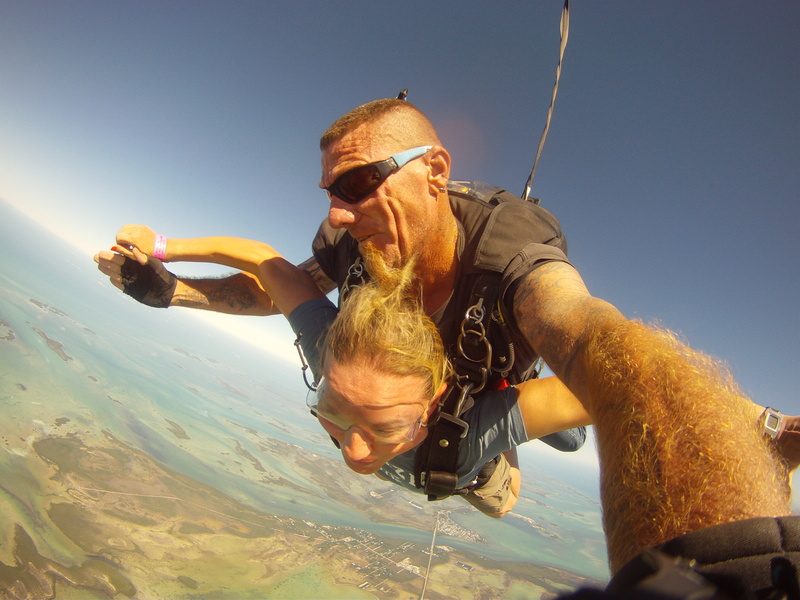 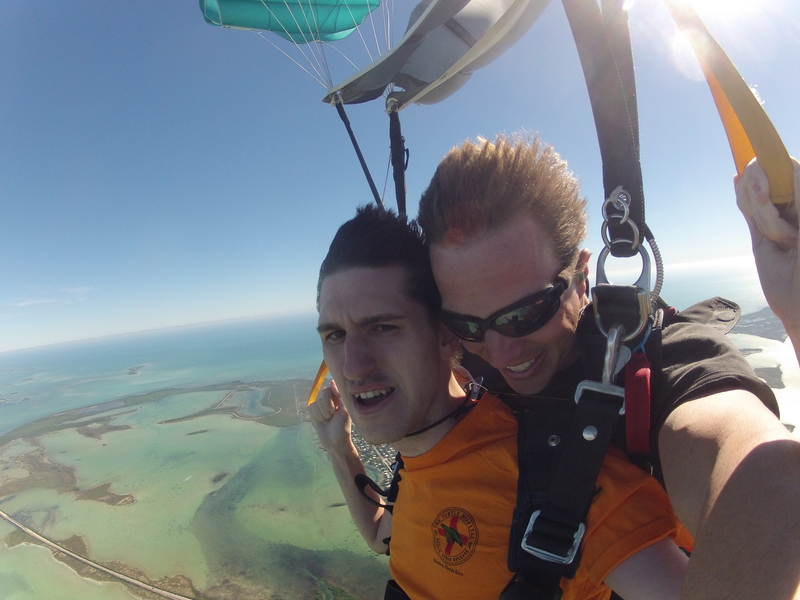 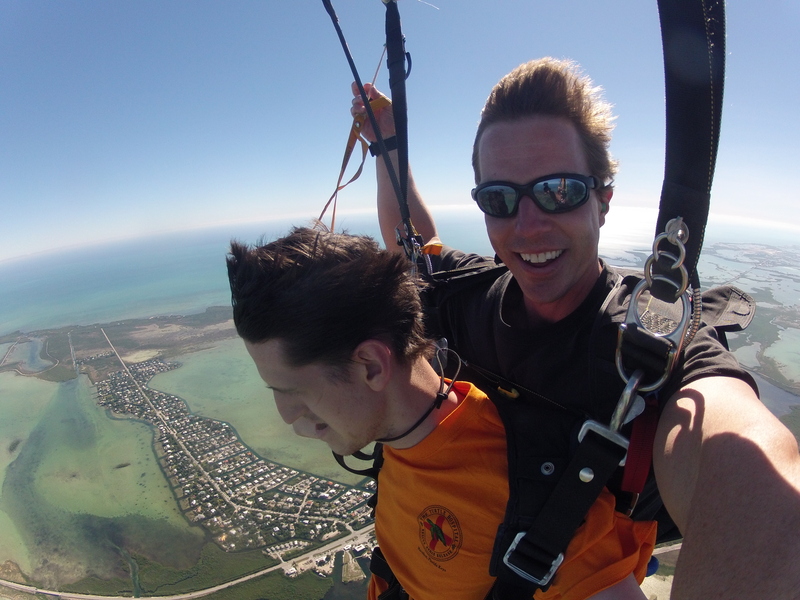 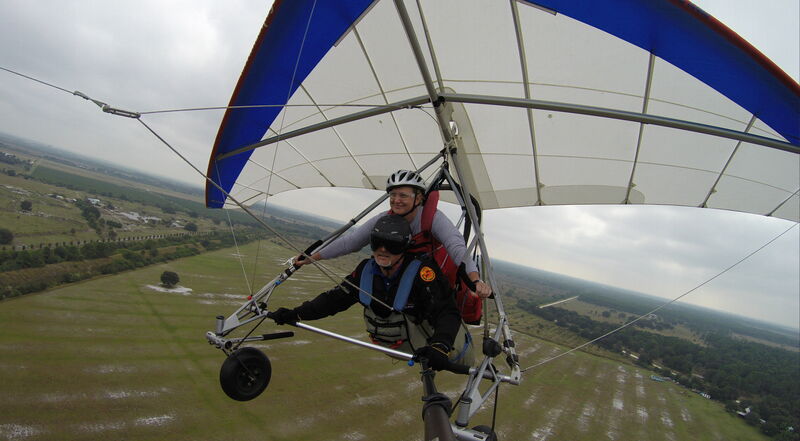 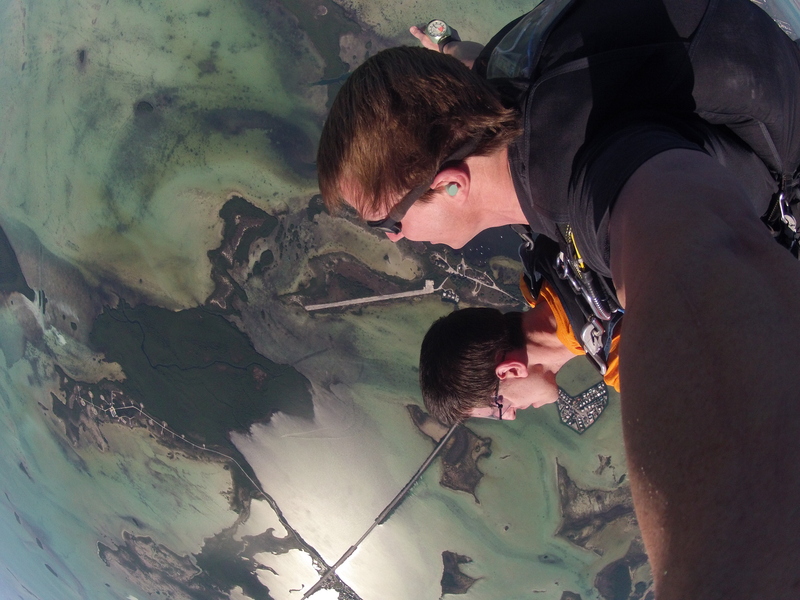 1) Skydiving over Key West and a few of Florida’s keys – amazing experience, great guys, and it was my little brother’s, Josh, late 25th birthday present (he loved it!). 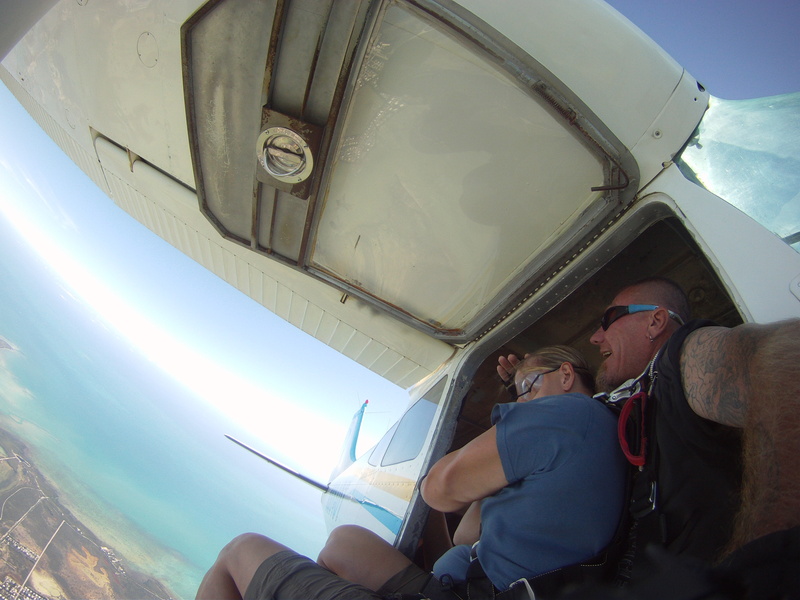 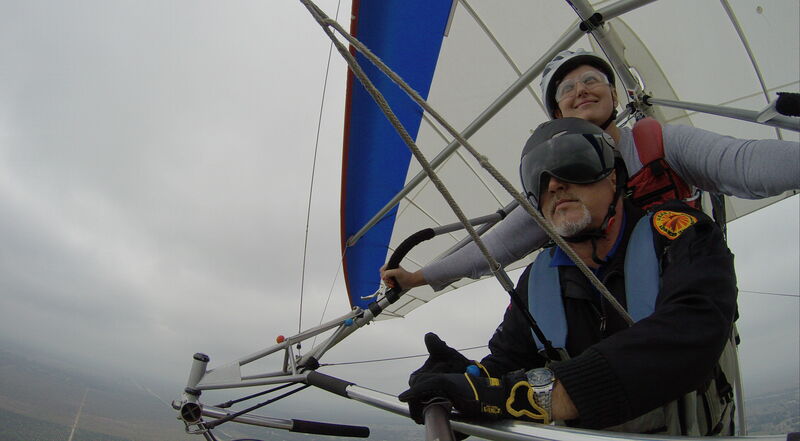 I was even able to drive the plane to my jump spot (with supervision of course!) 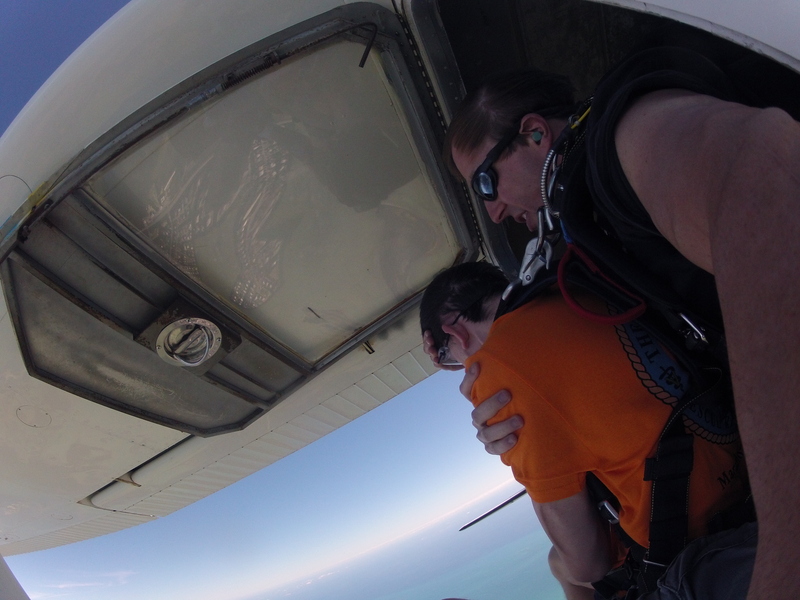 Thank you Skydive Key West for a great time! 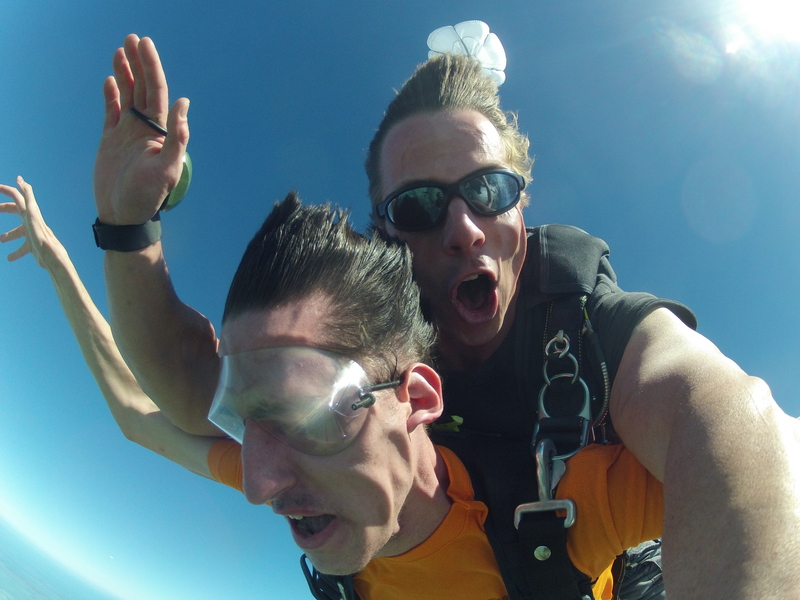 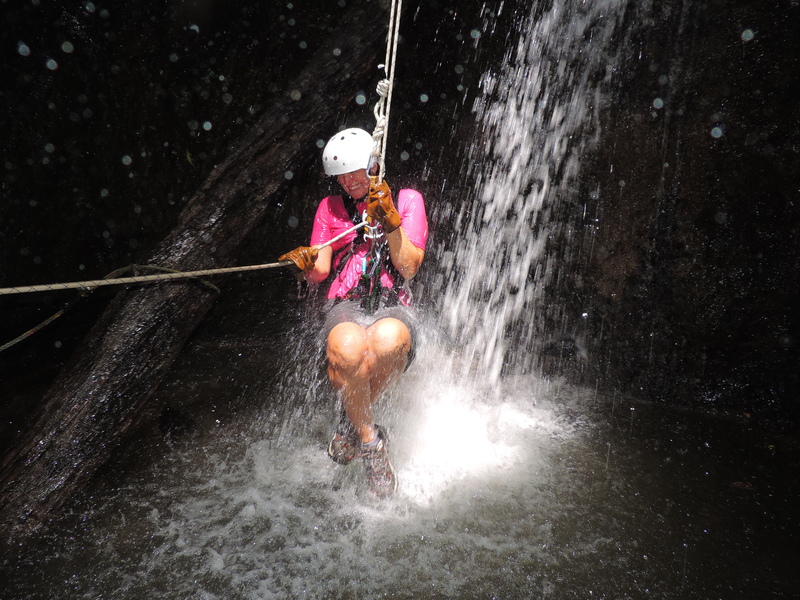 After my 3rd jump, I have to admit that I WILL be doing this every country! 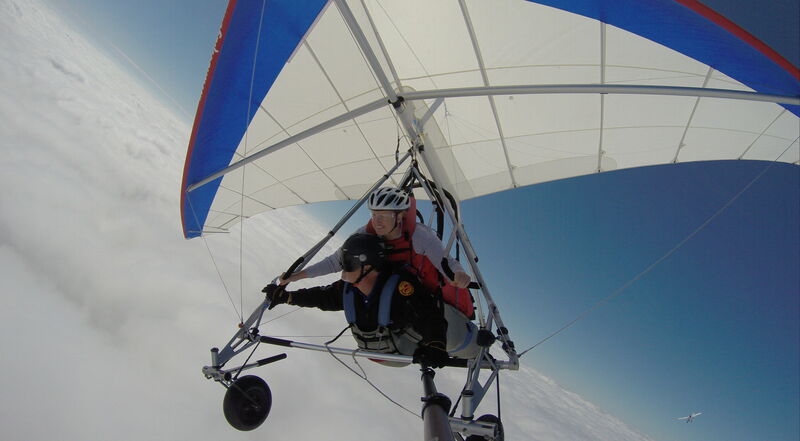 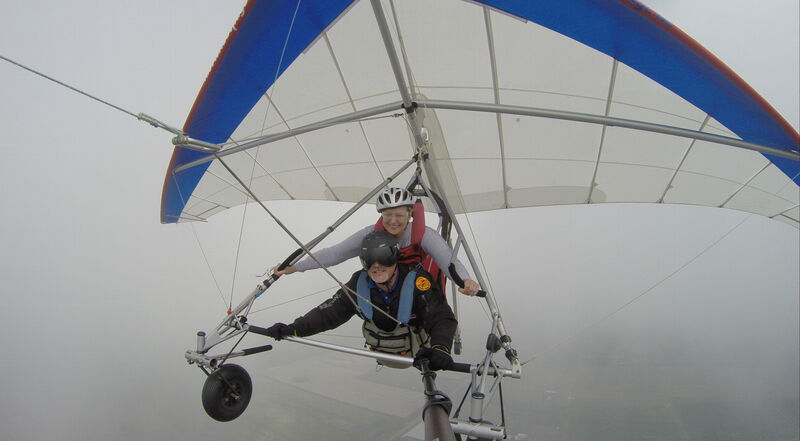 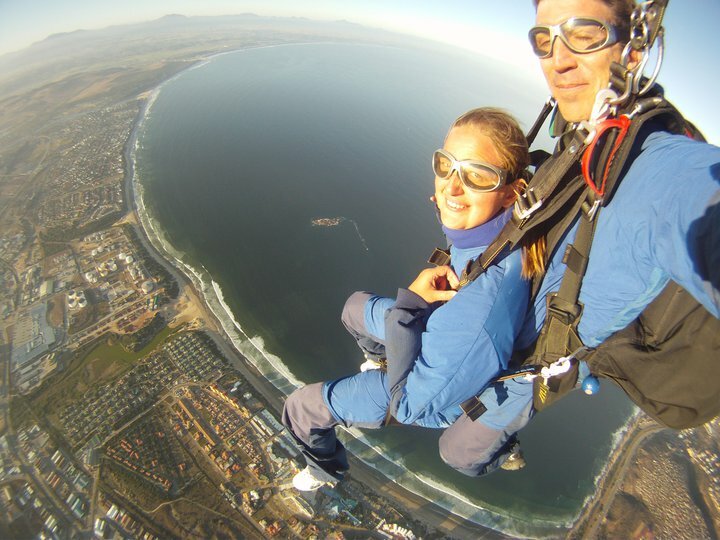 *The ultimate experience – flying in the clouds (could not see much in front of your face, but white clouds) and being above the white clouds to be welcomed by a blue sky. 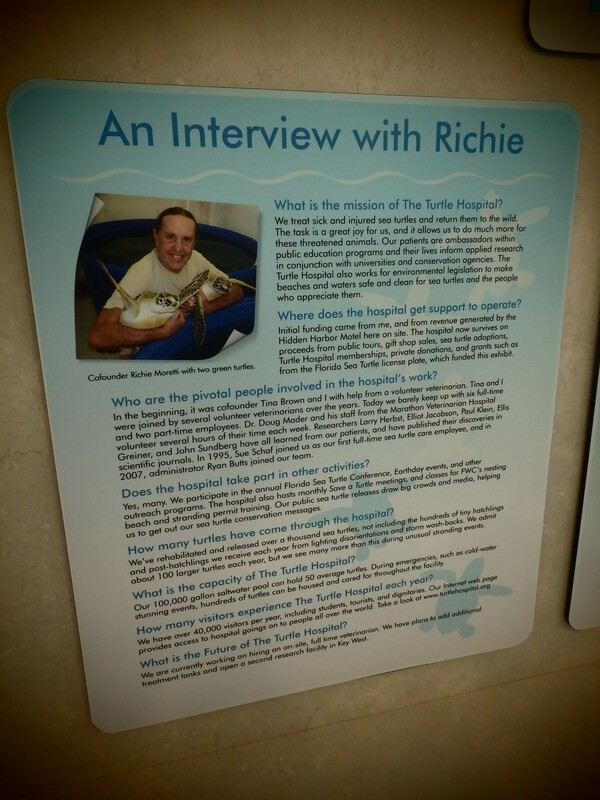 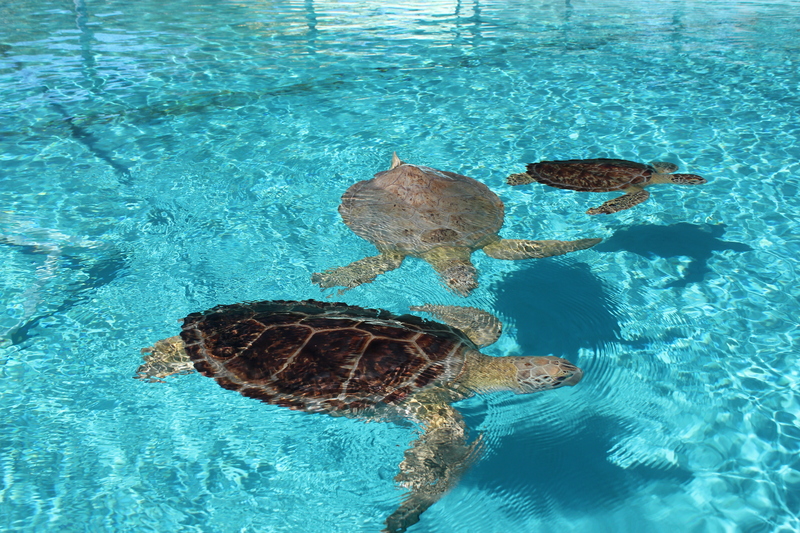 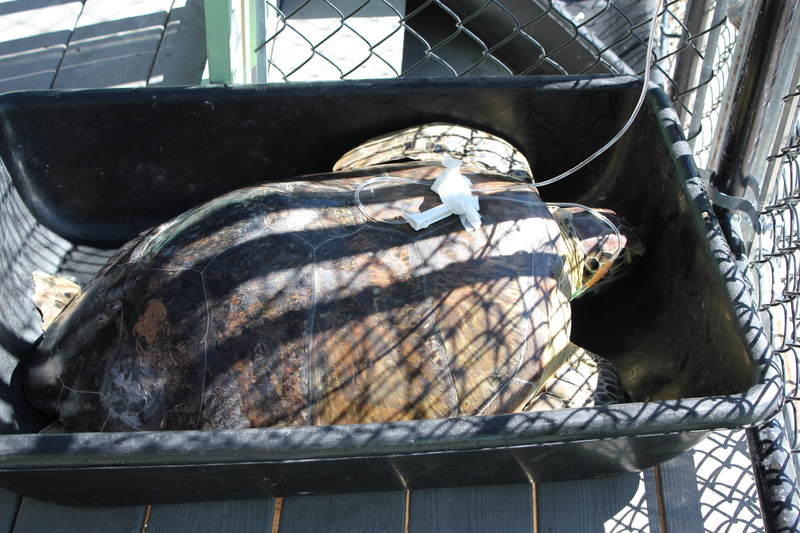 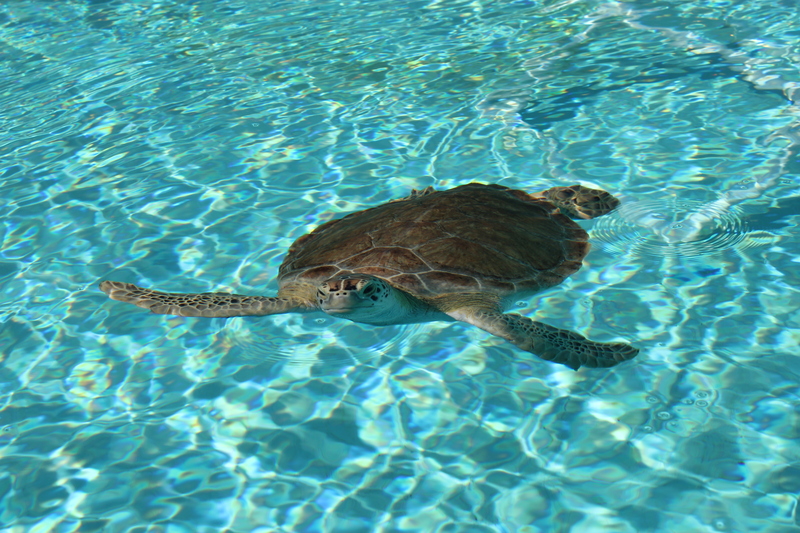 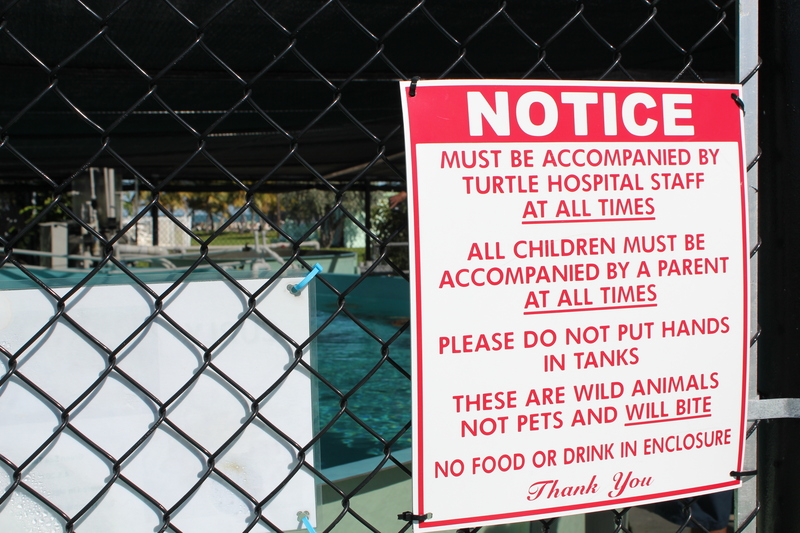 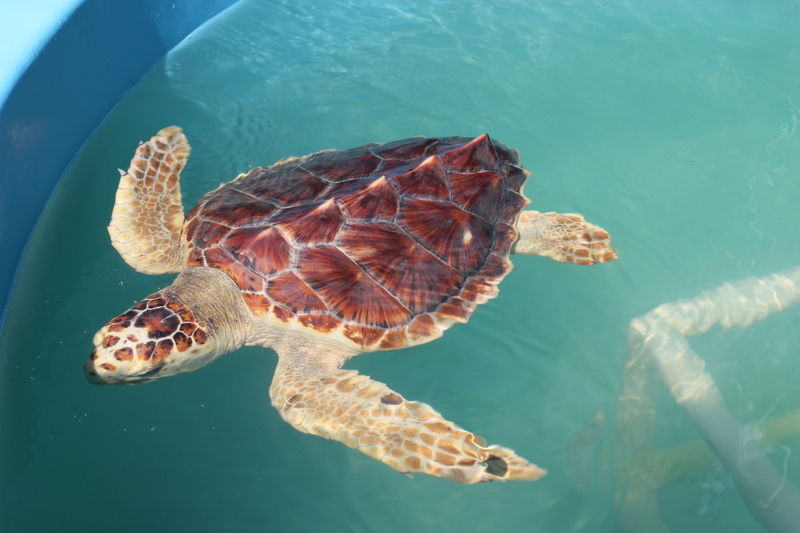 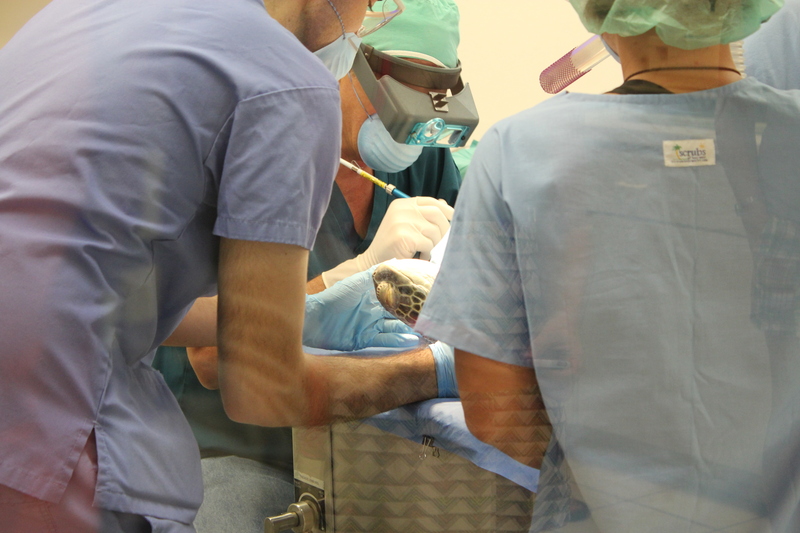 3) Hanging out for the day at a Sea turtle hospital in Marathon Key, FL – The staff was very sweet and indeed, exceeded my expectations of a how a hospital’s working staff and volunteers interact with the public. 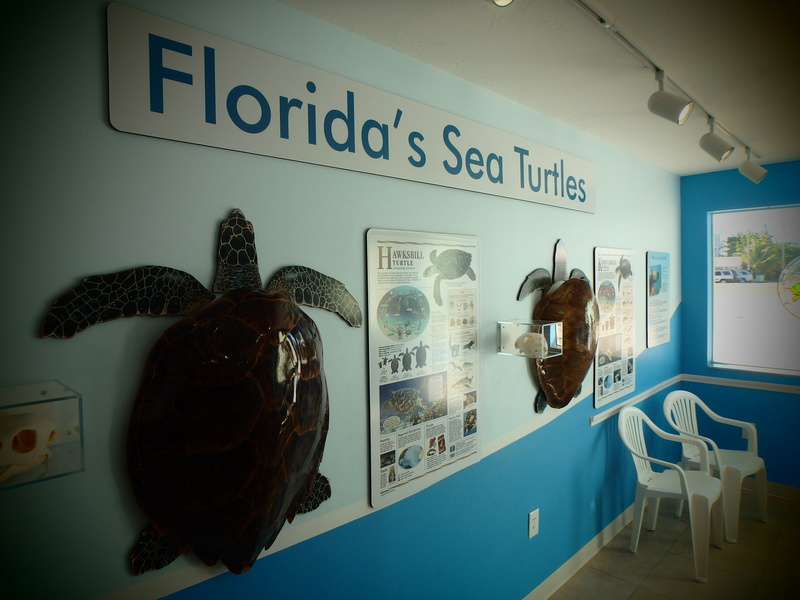 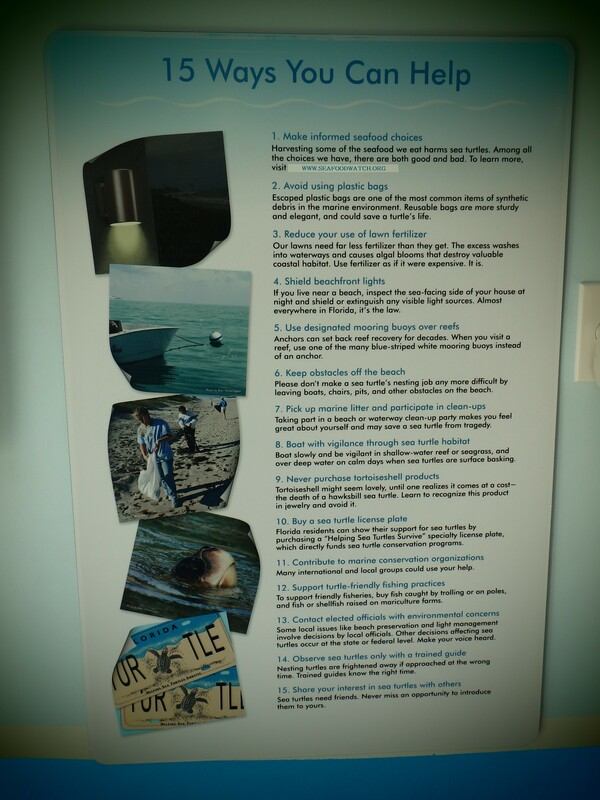 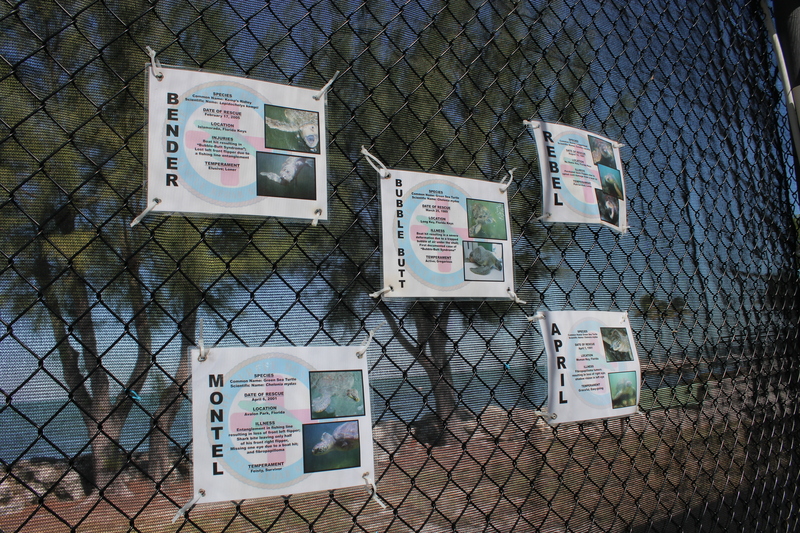 Between the presentations, display of sea turtles in each exhibit, and study guides to help others identify what they are looking at (with the given names of sea turtle species written), the programme that they have is in my opinion, one of the best in North America. 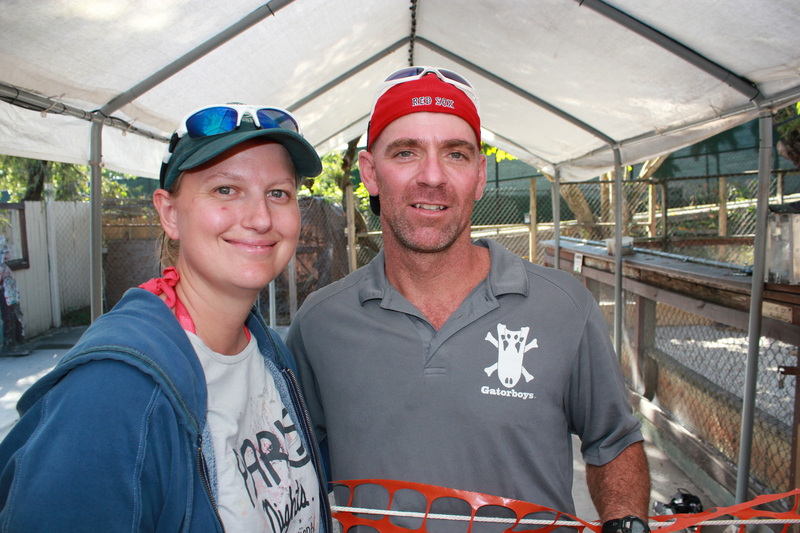 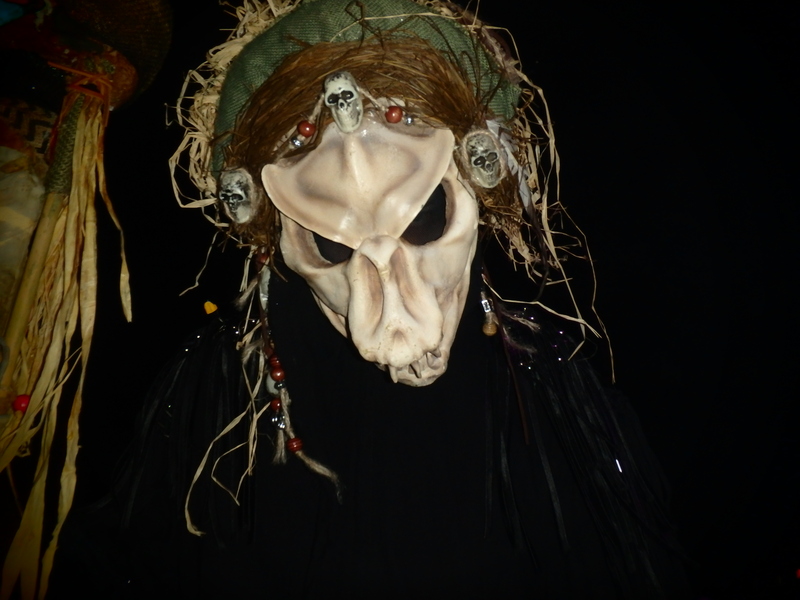 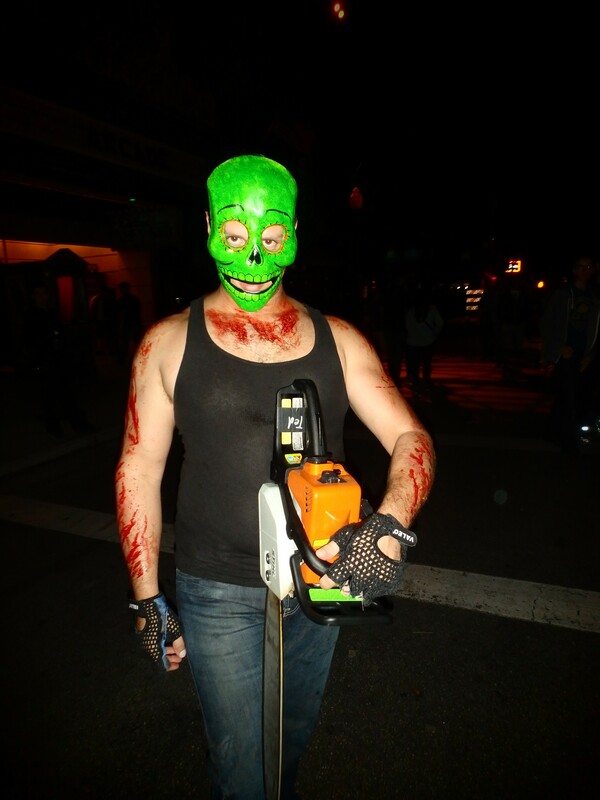 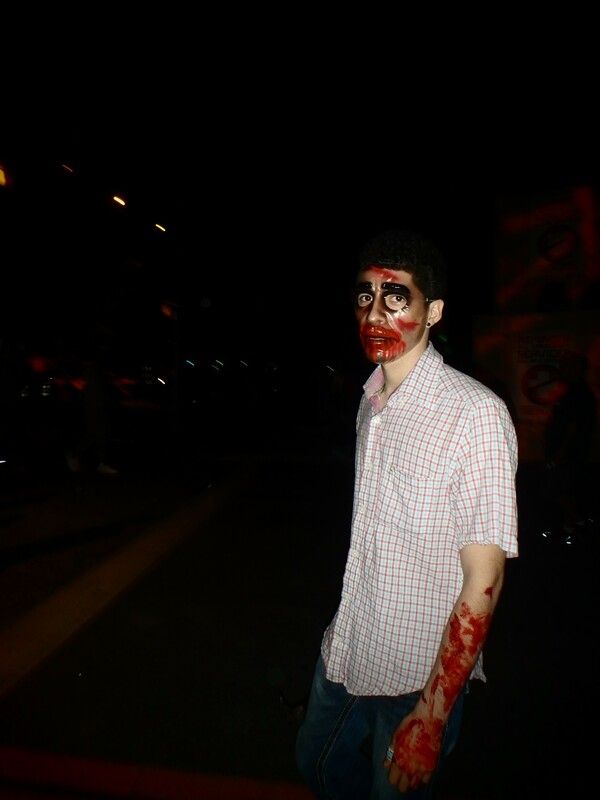 During this time, I was also able to interview a few volunteers, which later I will post about. 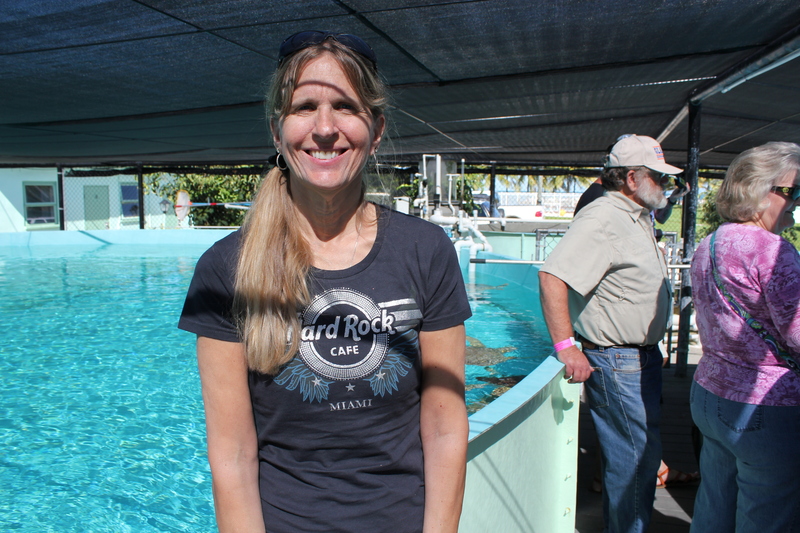 The dolphin research center staff was also very friendly, and with both programmes in effect, Marathon Key is a wonderful destination to learn about sea turtles and dolphins! 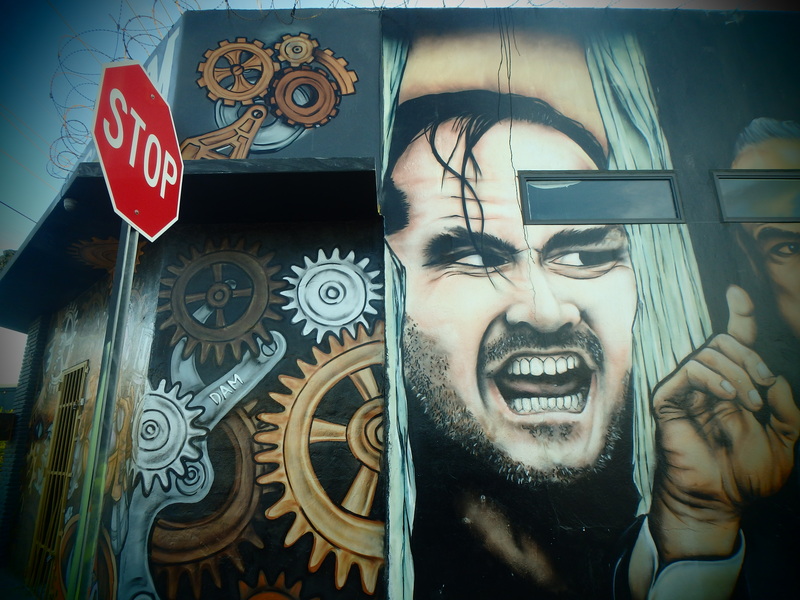 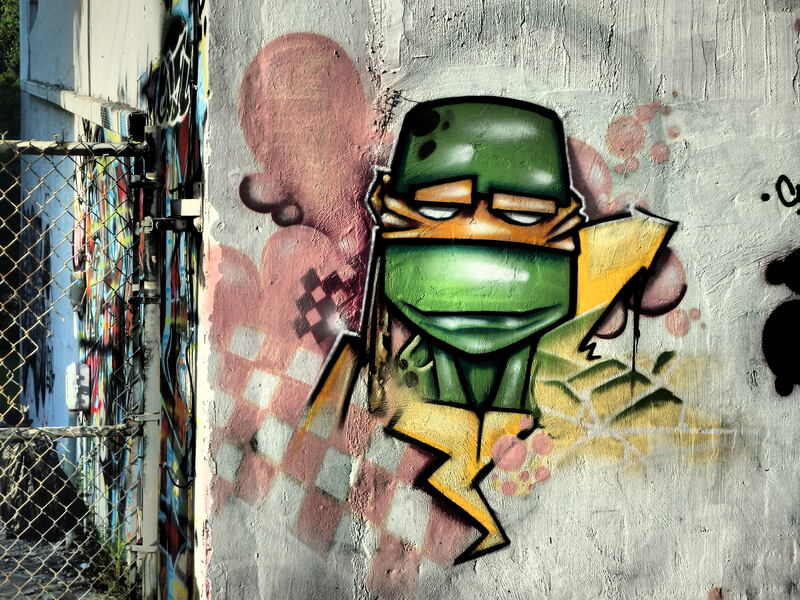 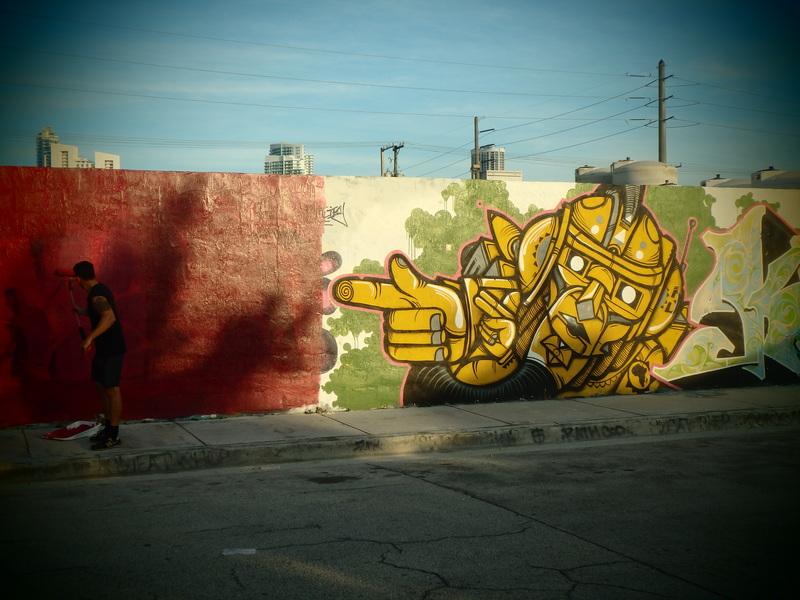 4) Driving around downtown Miami and photographing a few famous locations of the Wynwood Walls – this was by far the coolest experience that I had in Miami (yes, even triumphs South Beach). 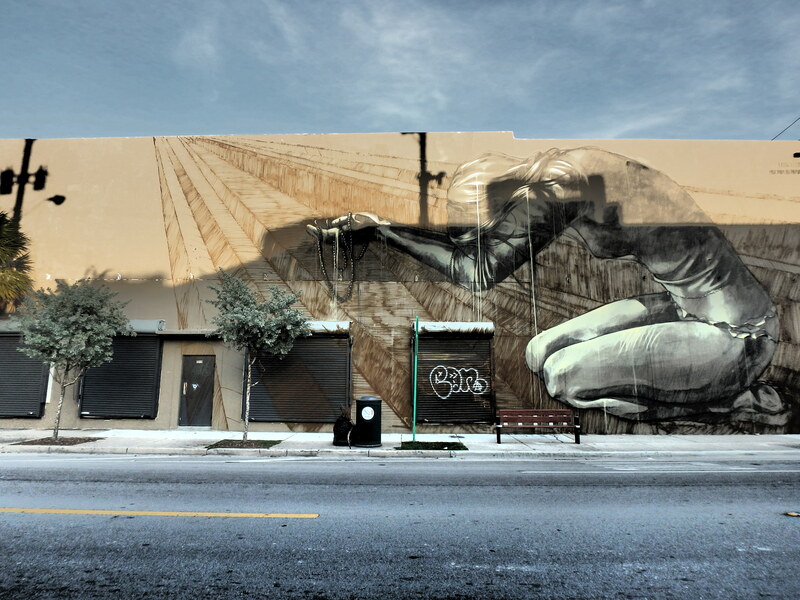 This is a location where artists all over the world have come together to help create a better atmosphere for this part of Miami. 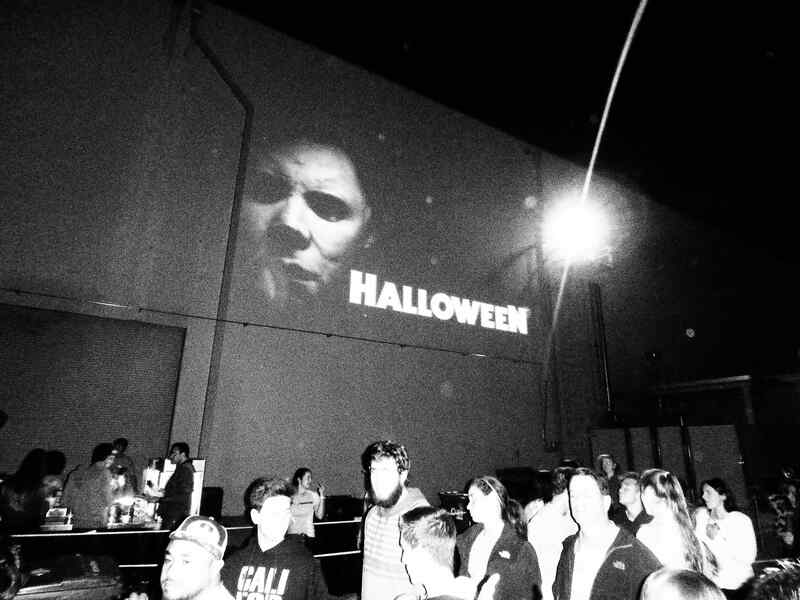 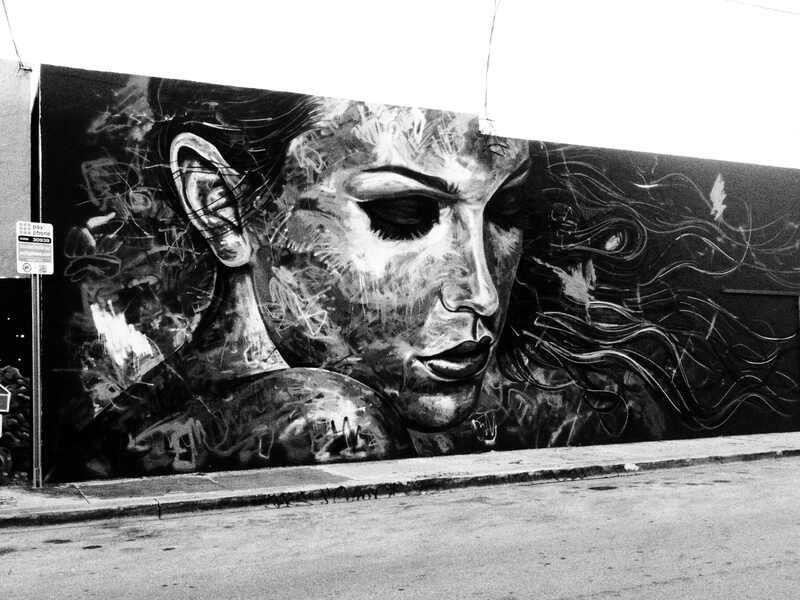 The world-class murals and spirit of the project continues to attract thousands of people to the Wynwood Walls each year. 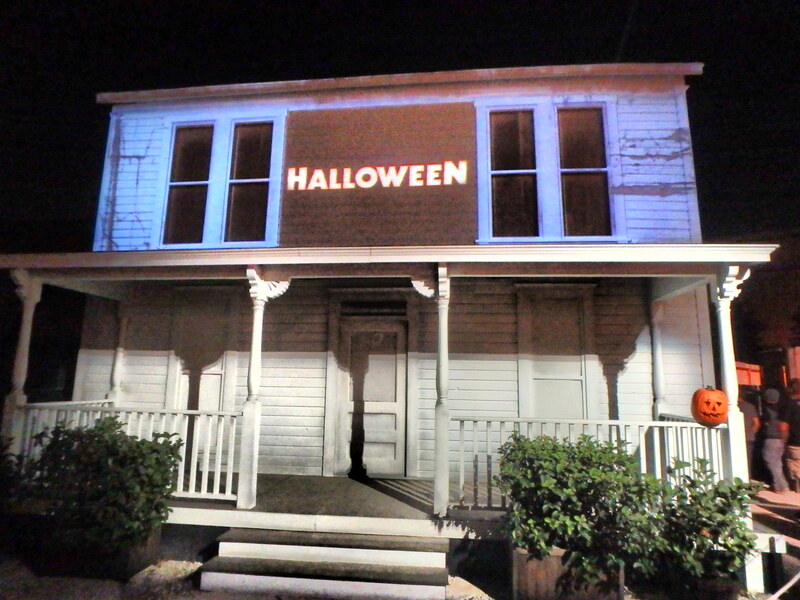 Among other things, it is an inspiring model for the revitalization of run-down, abandoned historic communities and a must-see destination for the city. 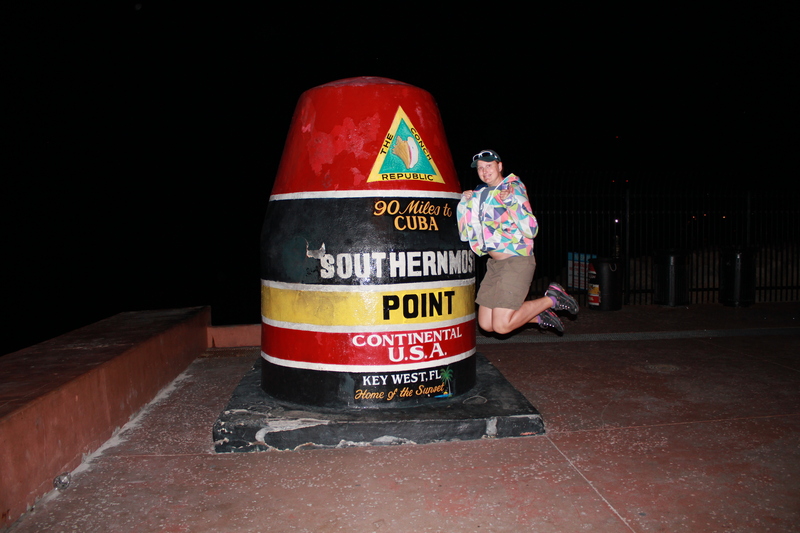 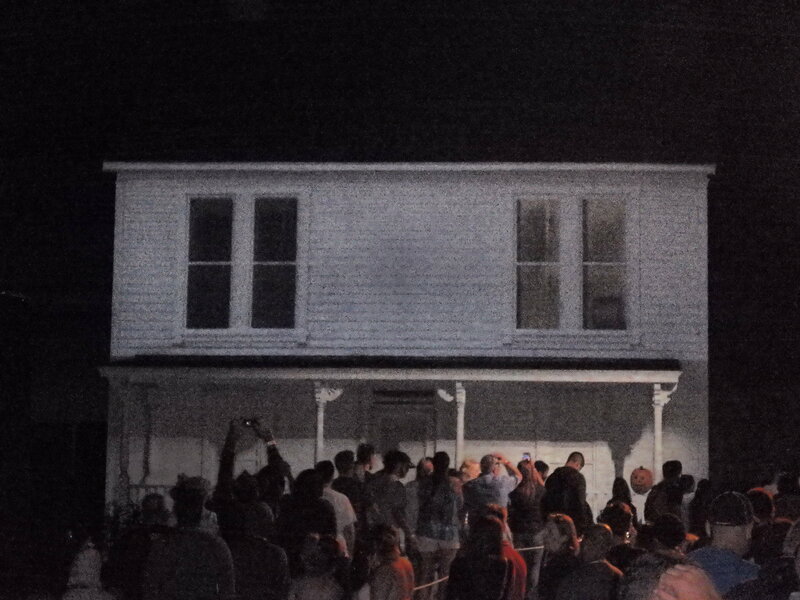 5) Reaching the southernmost point in North America – getting a signature jumpin’ photograph was the mission, and finally the time came and I got to visit this world famous destination at night! 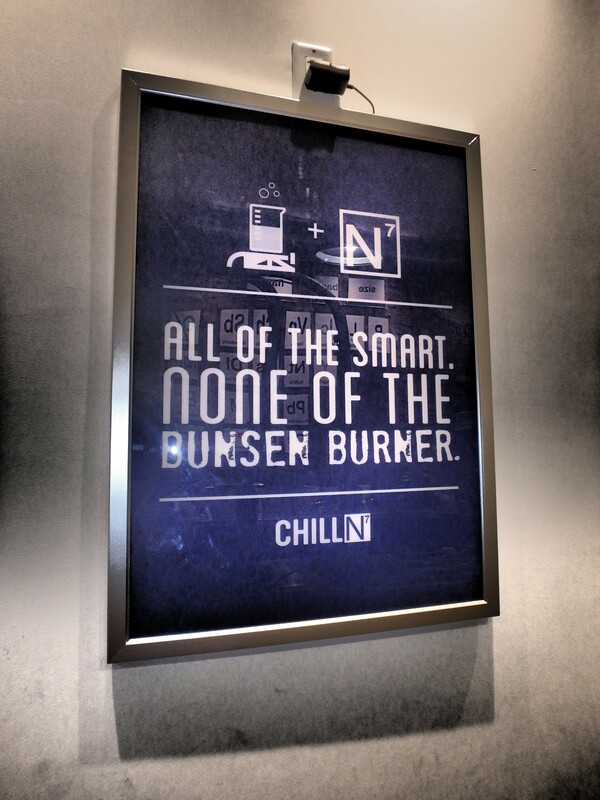 Now the only way to go is North! 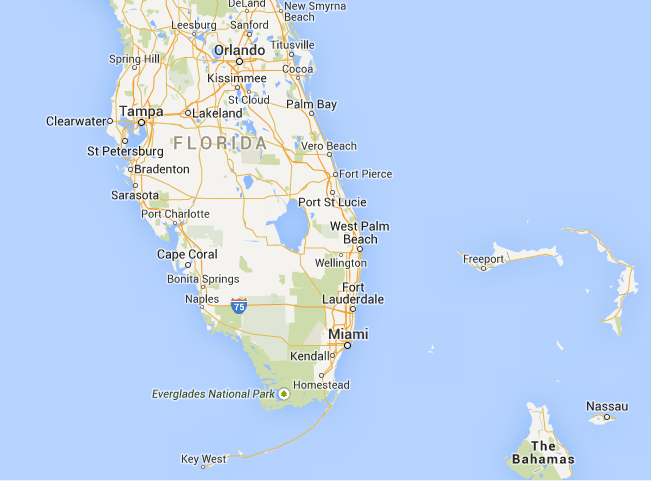 Canada, I will see you earlier next year of 2015! 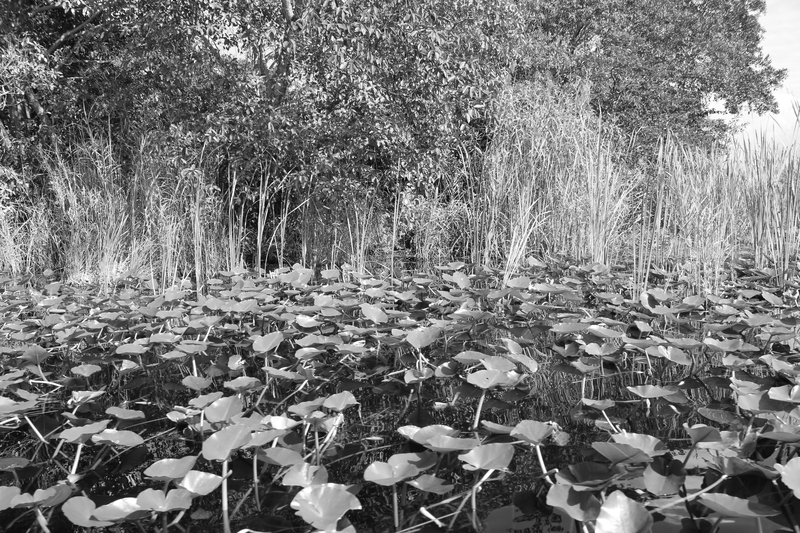 Phase 1: Part 1 North America was a great start to a world trip, and as I continue to drive around North America, I promise to keep you all posted through Josh and I’s travel writing, photographs, videos, travel stories, and anything else that we come across. 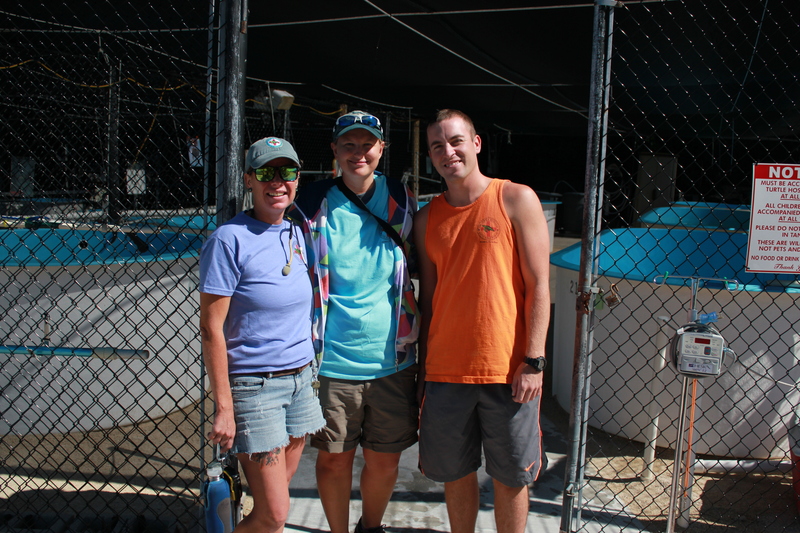 **Thank you to all those that went out of their way to see us on this part of “The Voyage of Discovery.” Most importantly, thank you Maggie aka mom and Rascal for joining us on the start of this world trip.